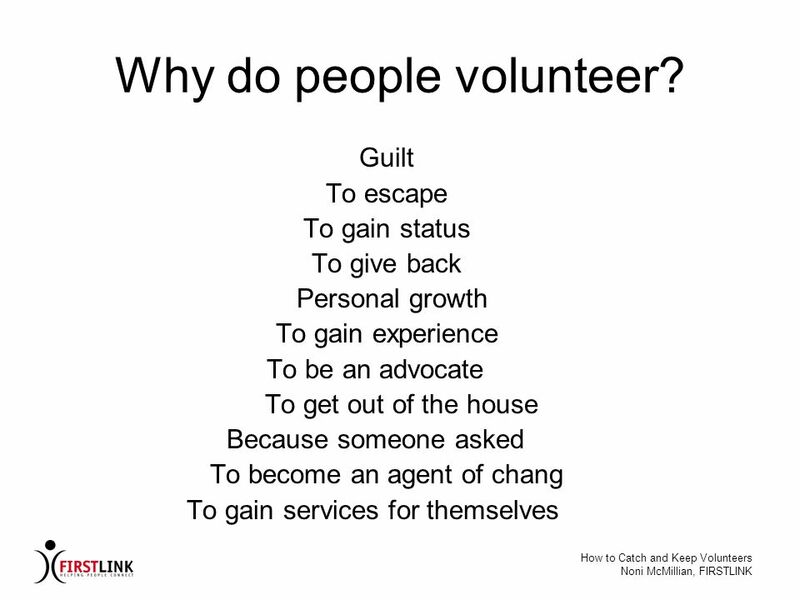 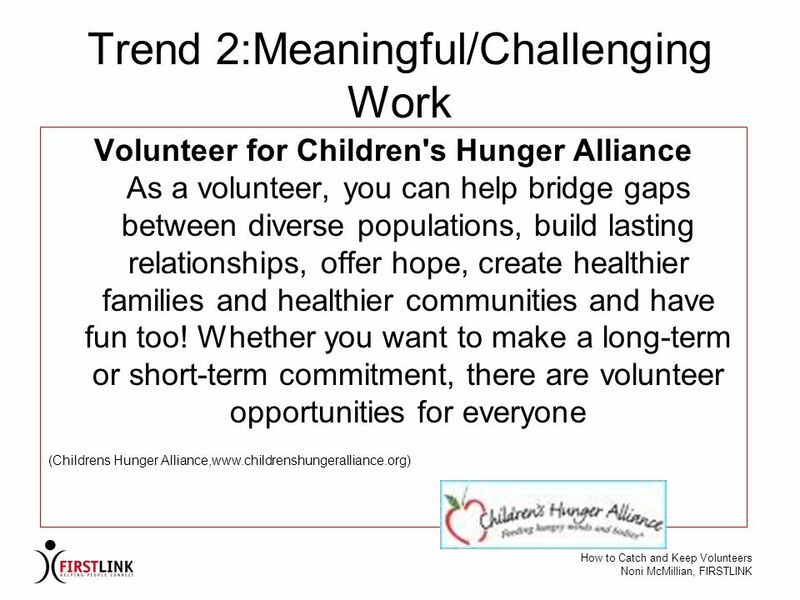 7 Why do people volunteer? 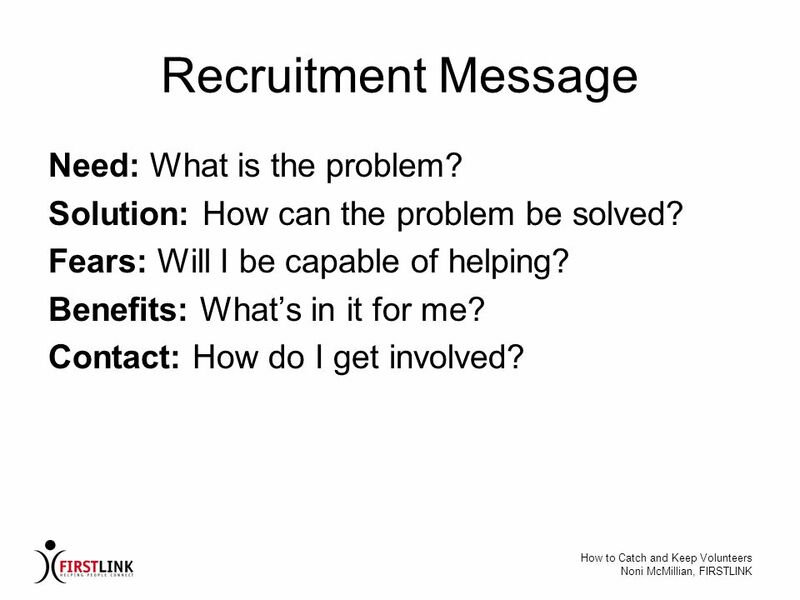 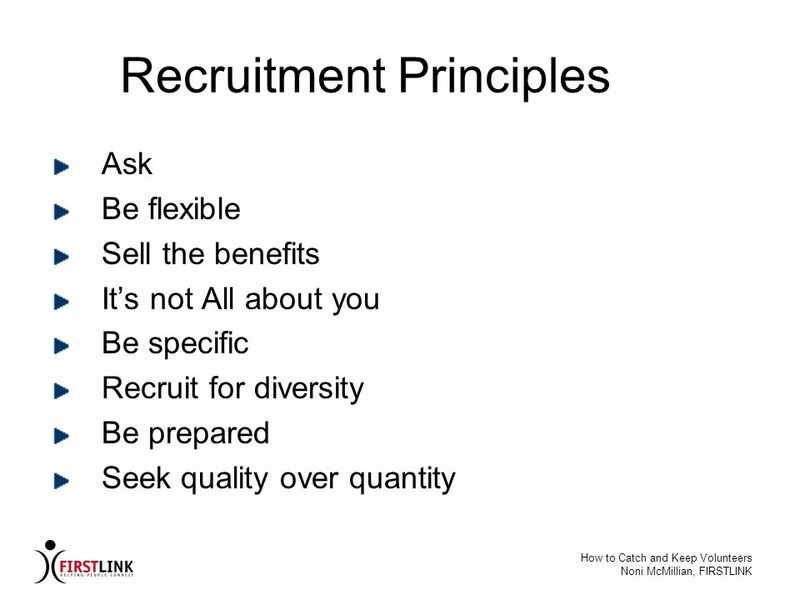 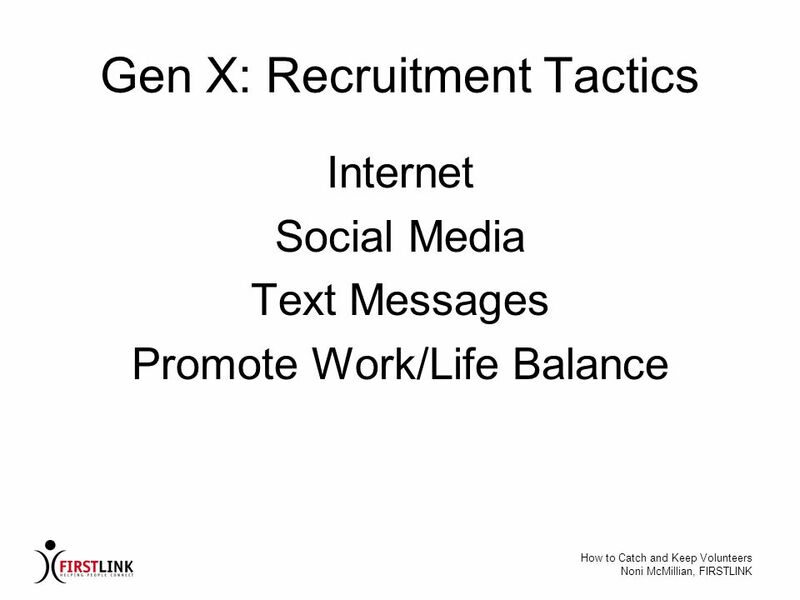 30 Recruitment Message Need: What is the problem? 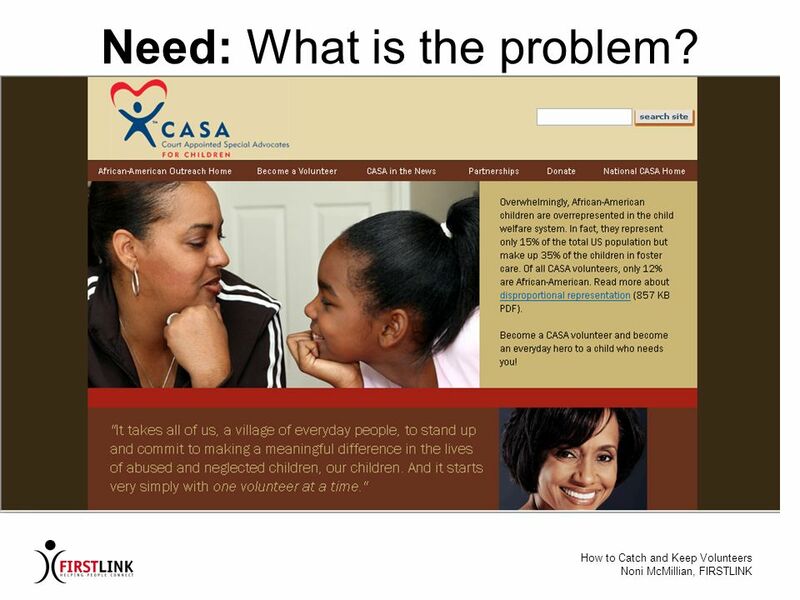 31 Need: What is the problem? 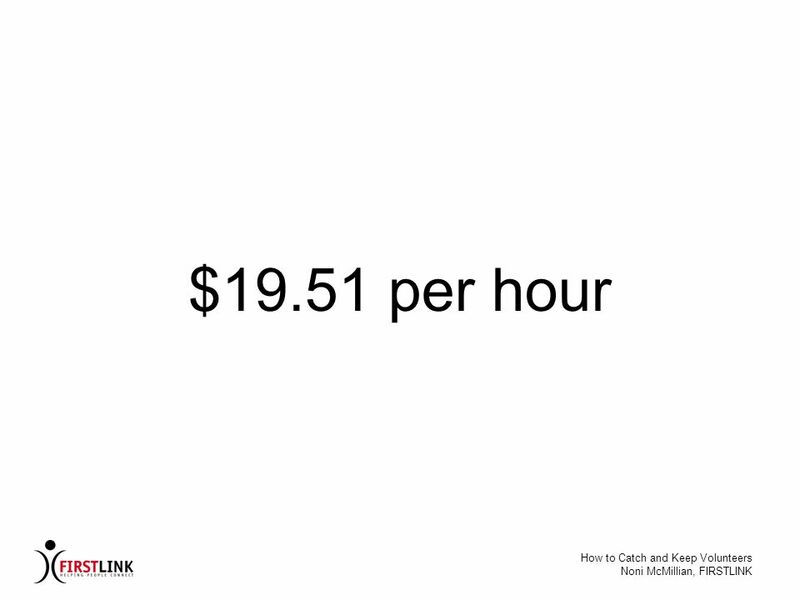 32 Solution: Can this job solve it? 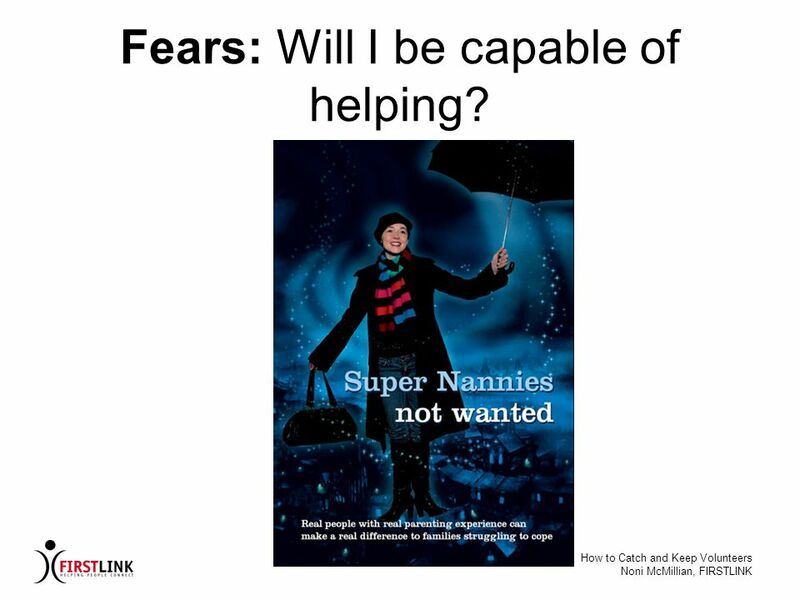 33 Fears: Will I be capable of helping? 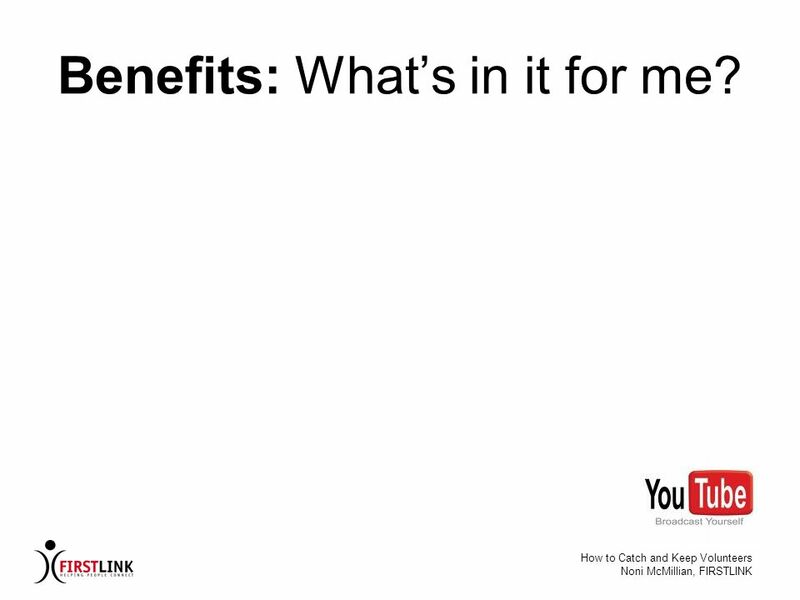 34 Benefits: What’s in it for me? 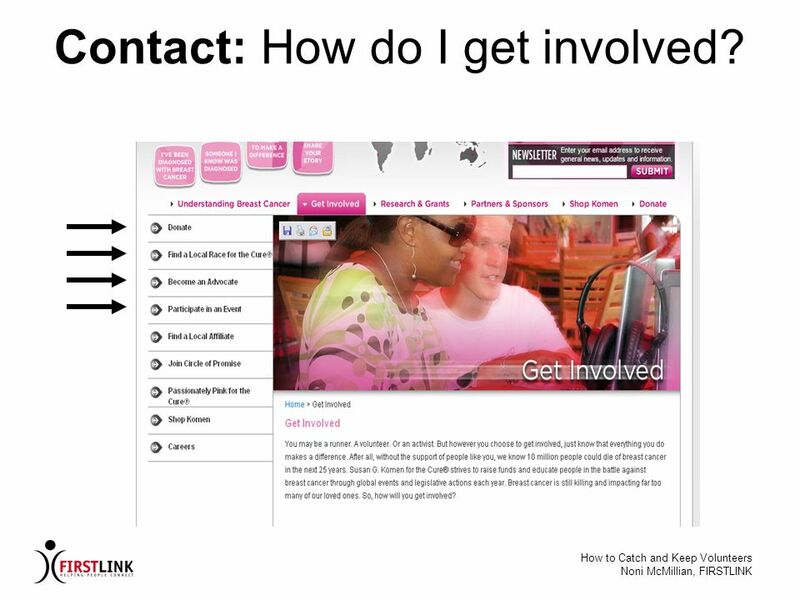 35 Contact: How do I get involved? 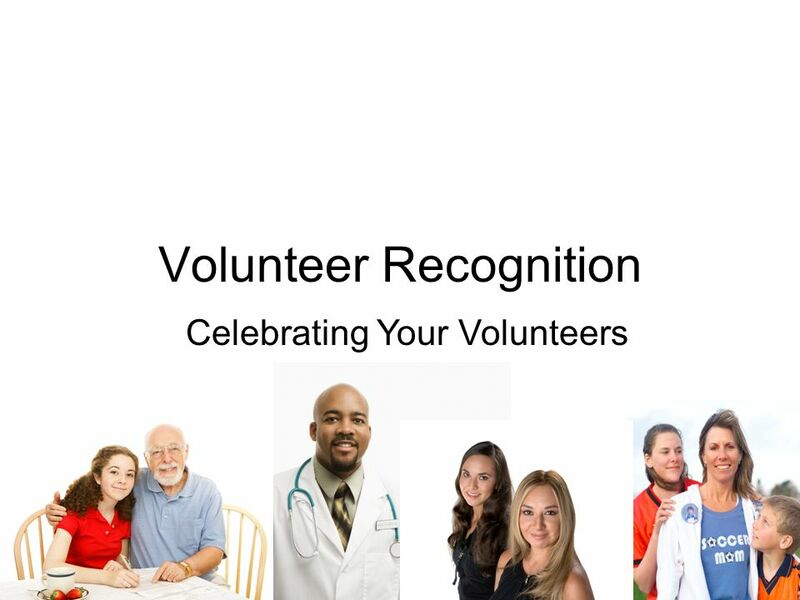 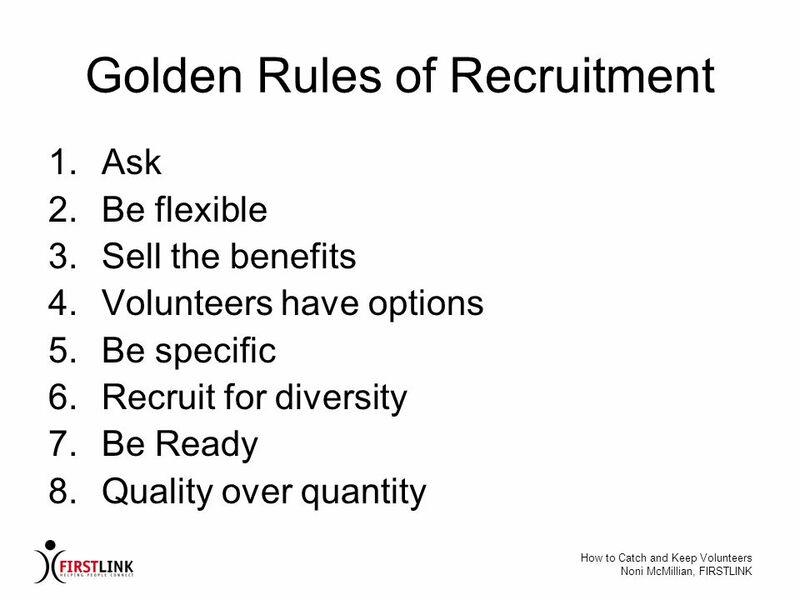 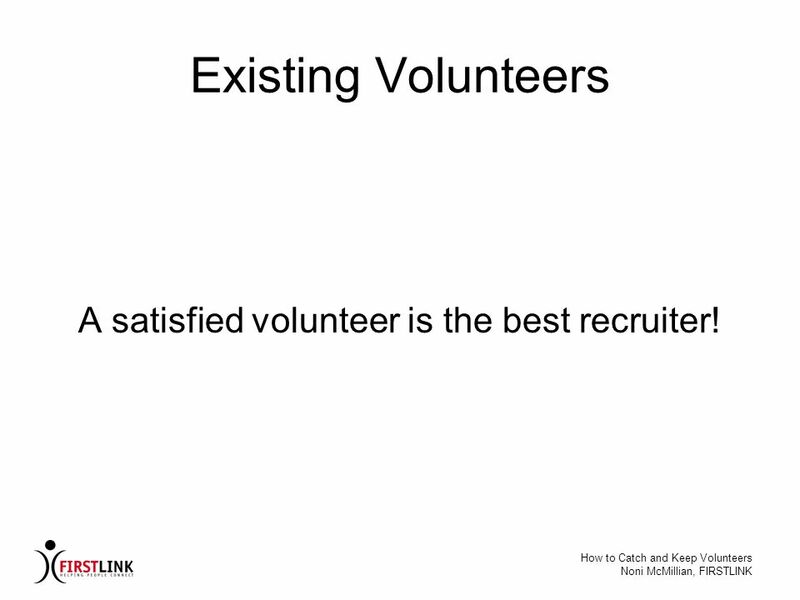 48 A satisfied volunteer is the best recruiter! 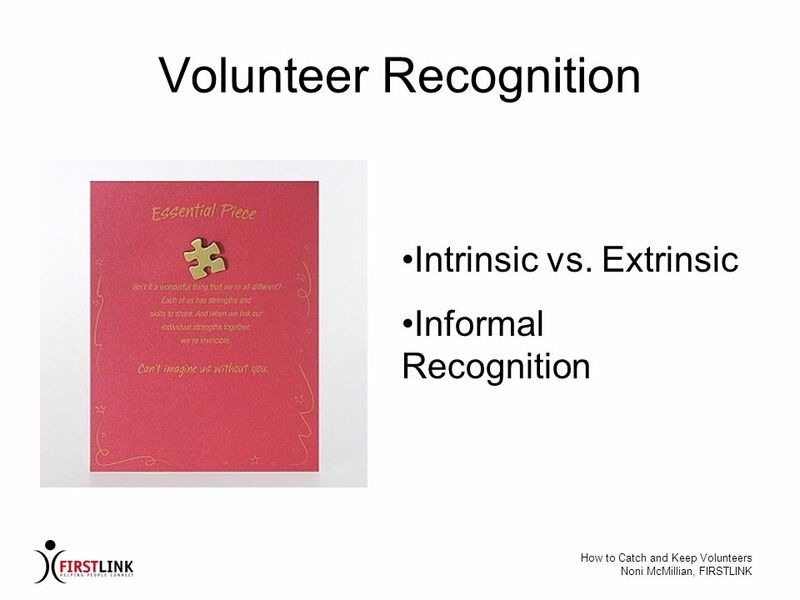 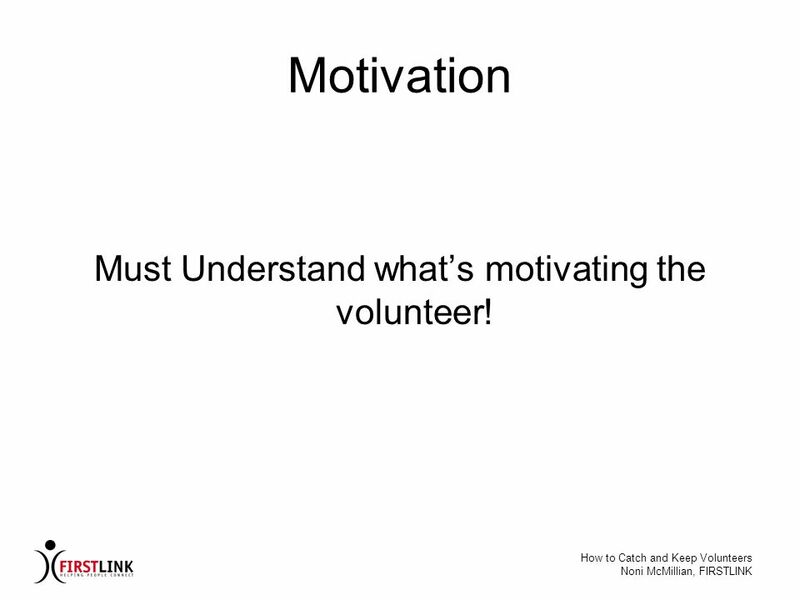 96 Must Understand what’s motivating the volunteer! 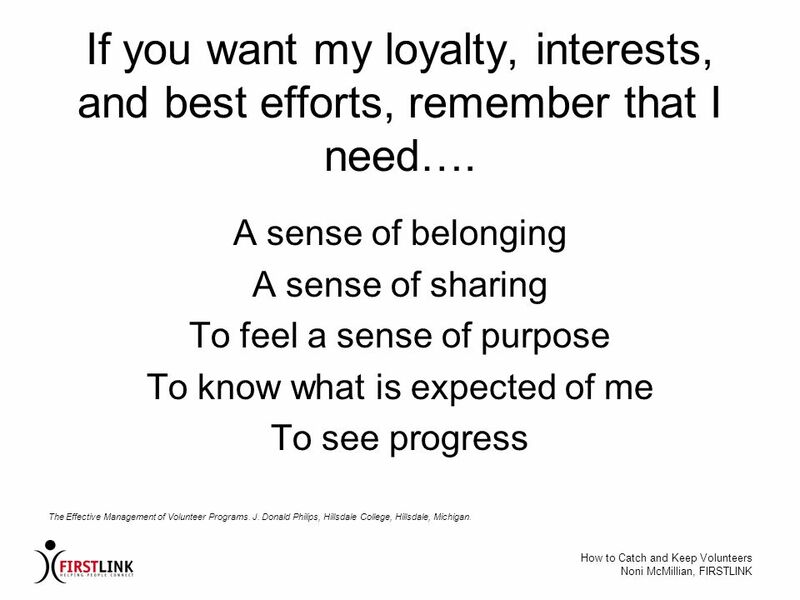 101 If you want my loyalty, interests, and best efforts, remember that I need…. 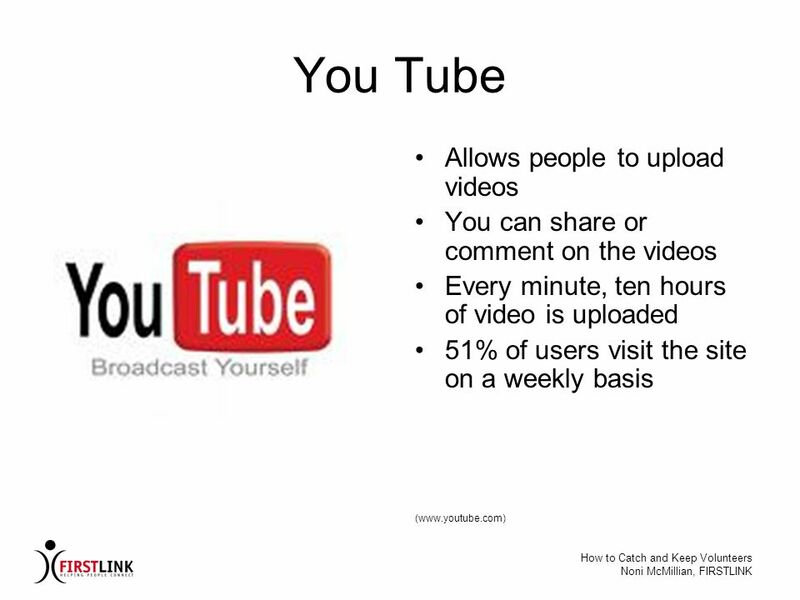 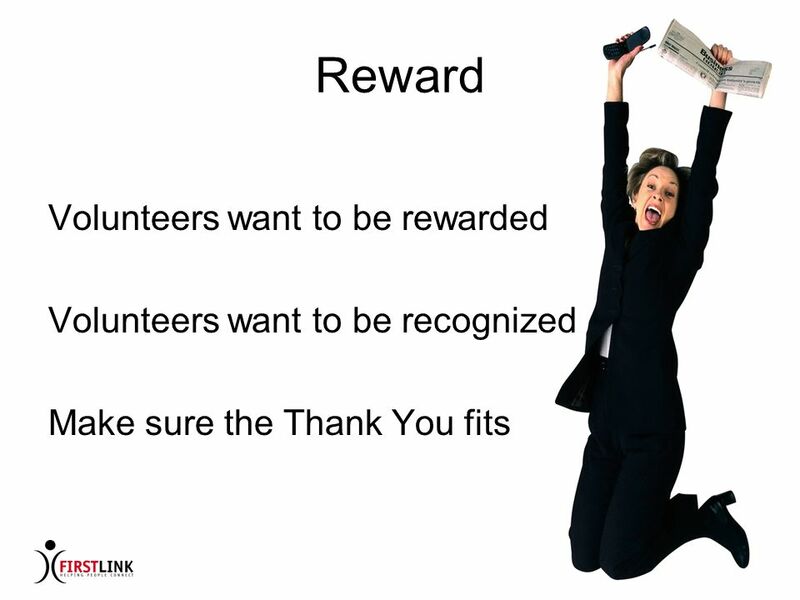 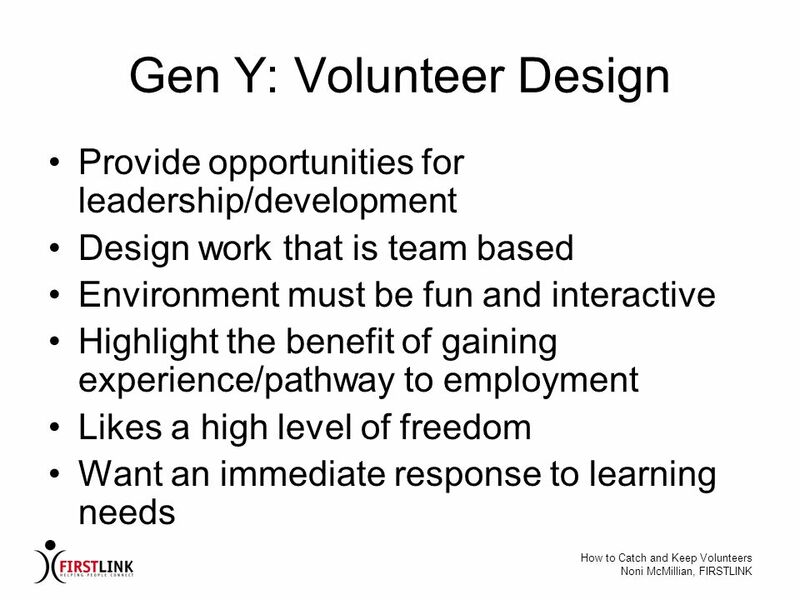 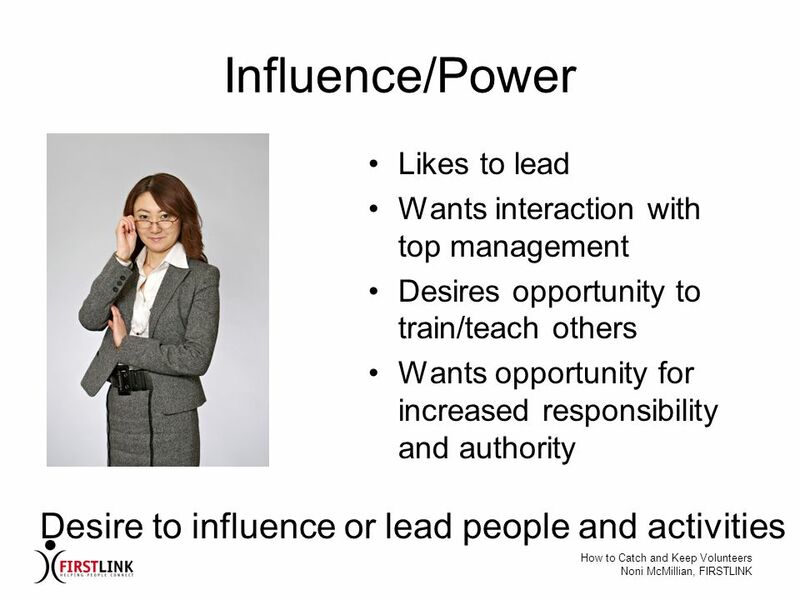 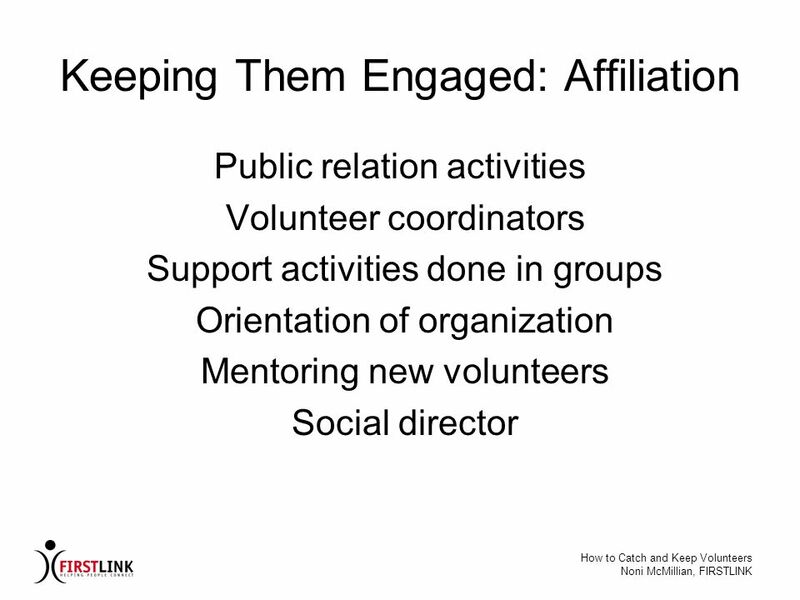 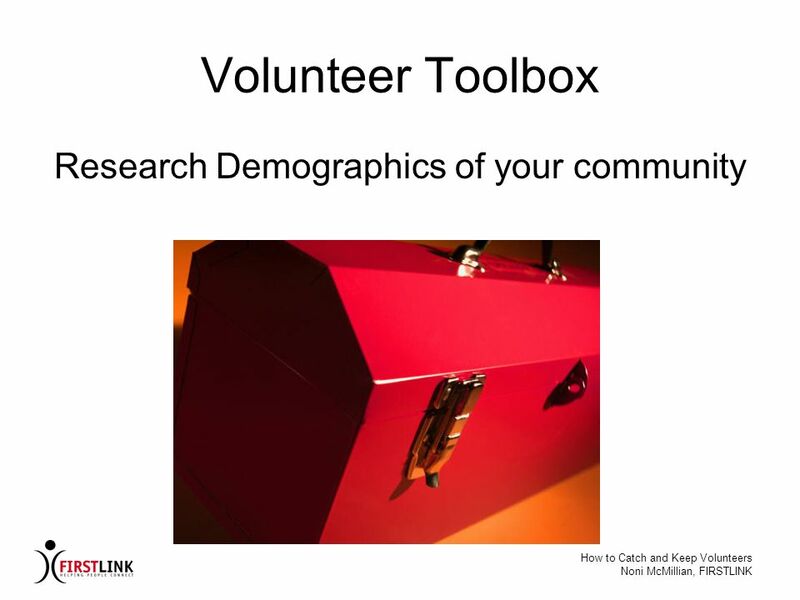 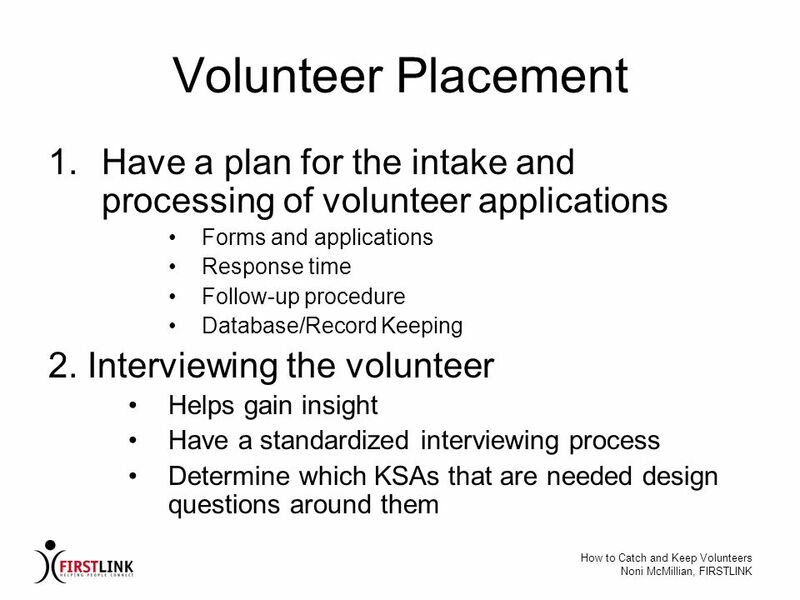 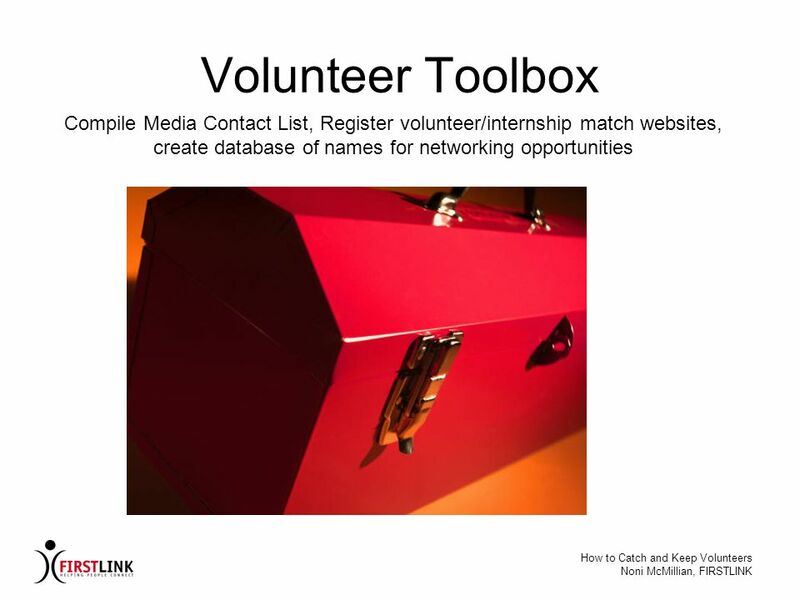 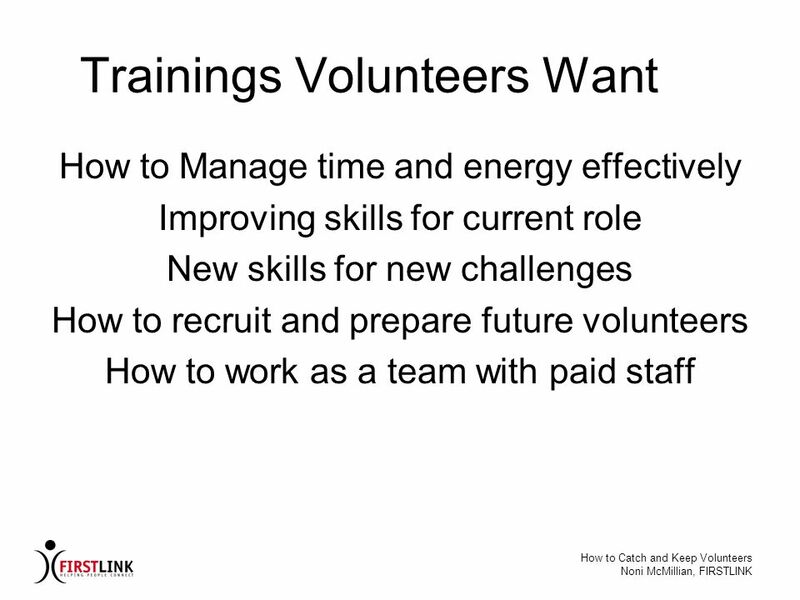 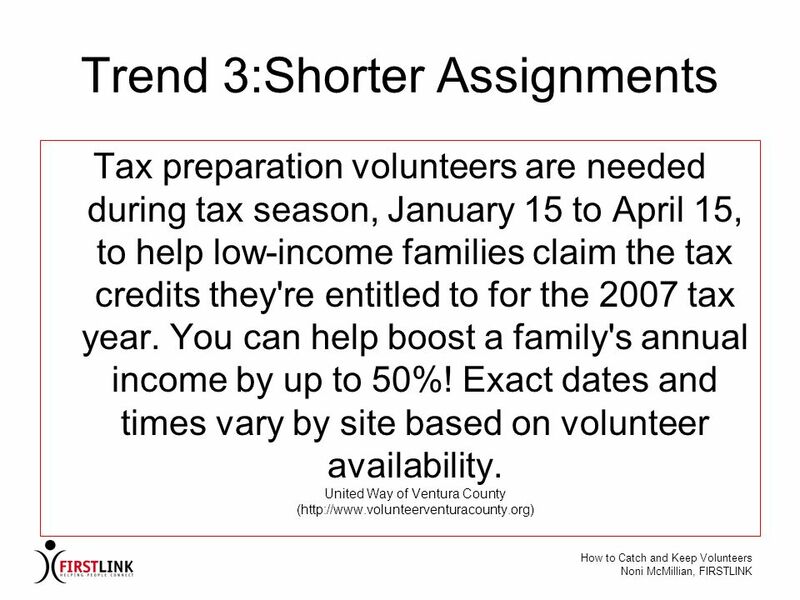 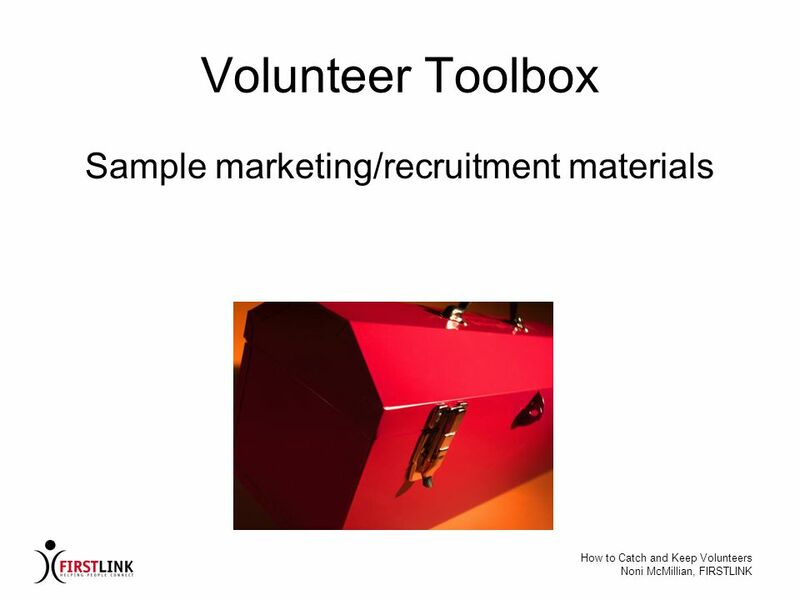 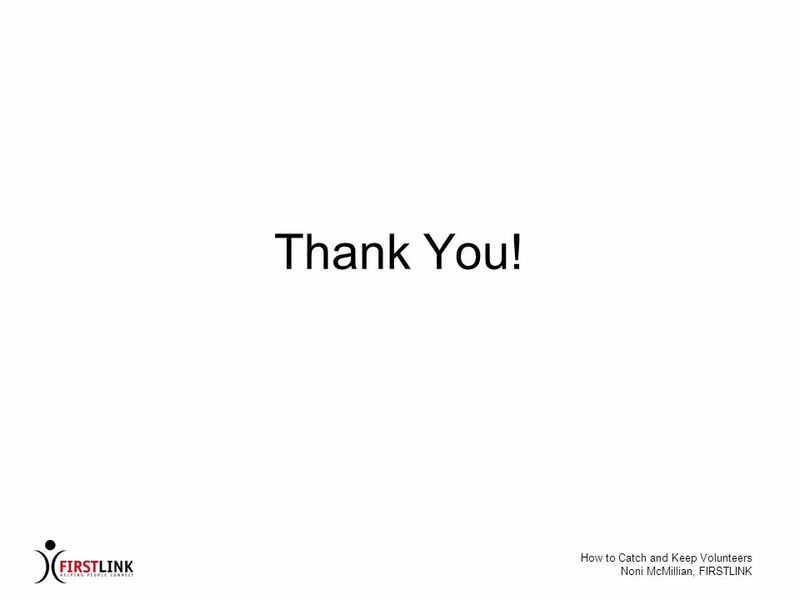 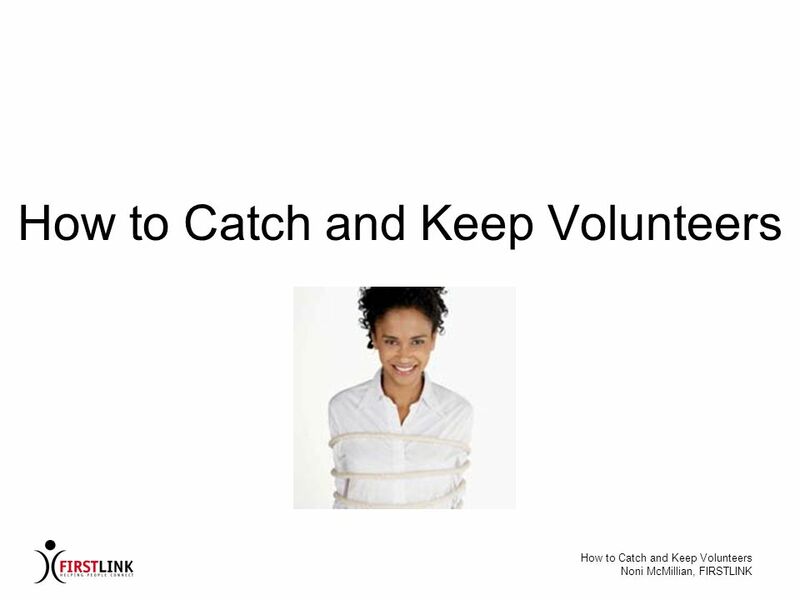 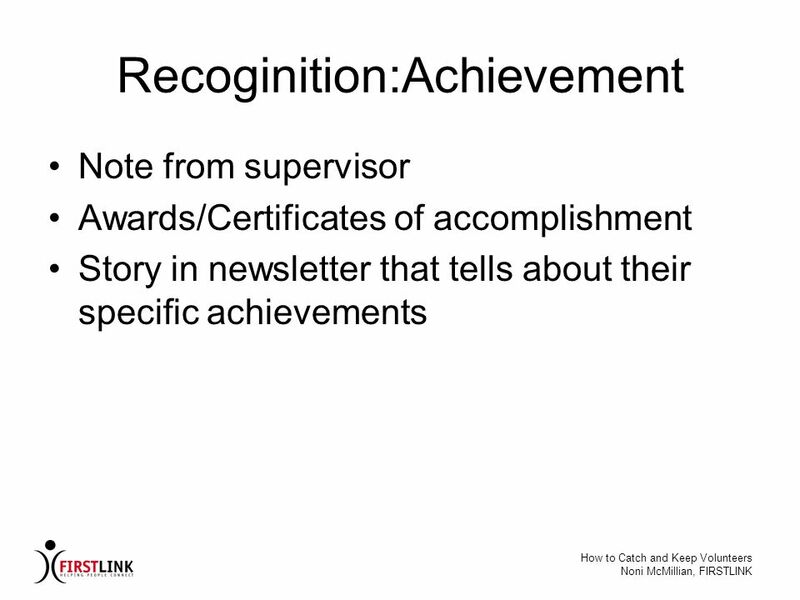 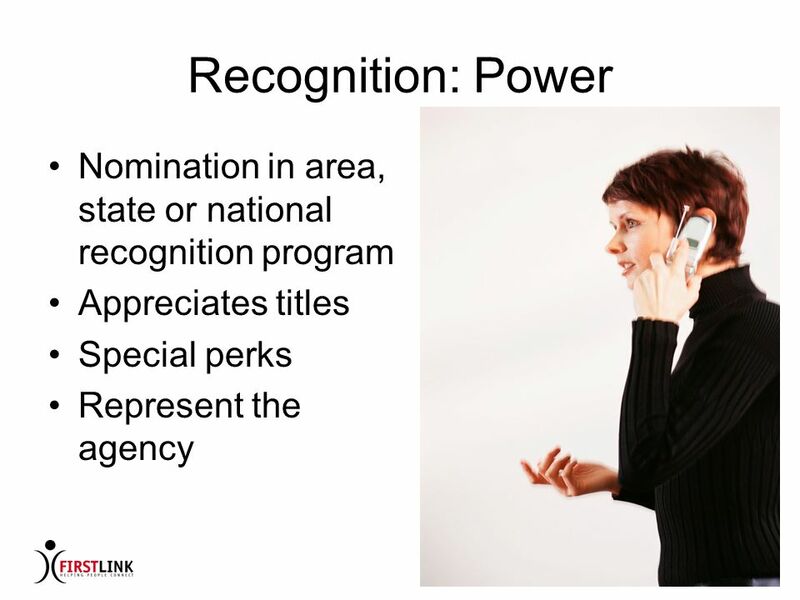 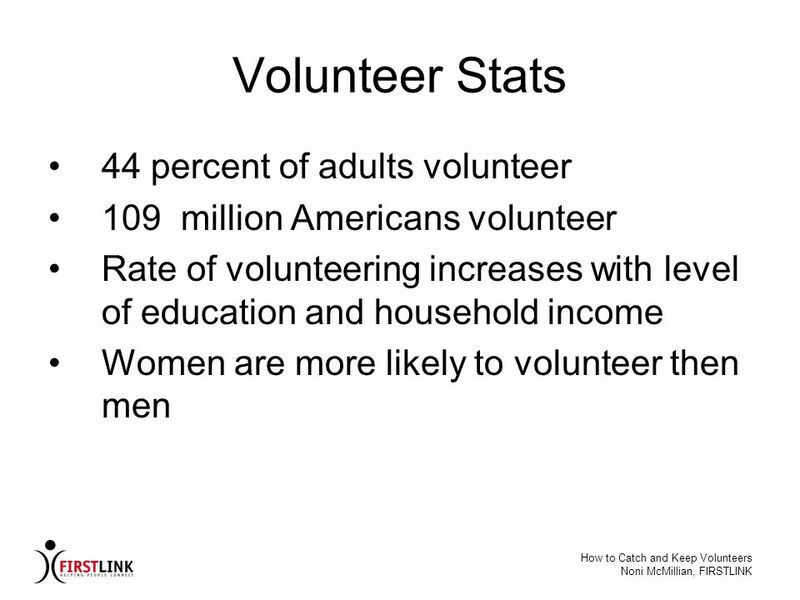 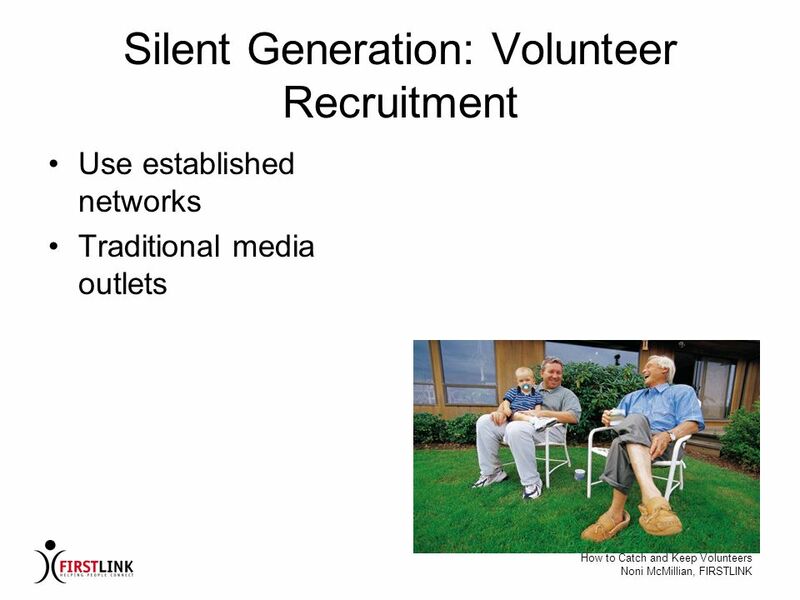 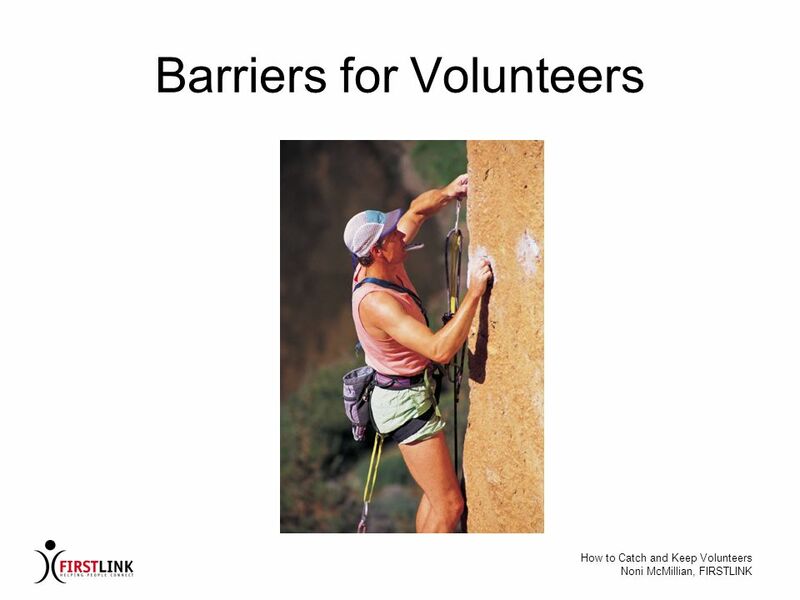 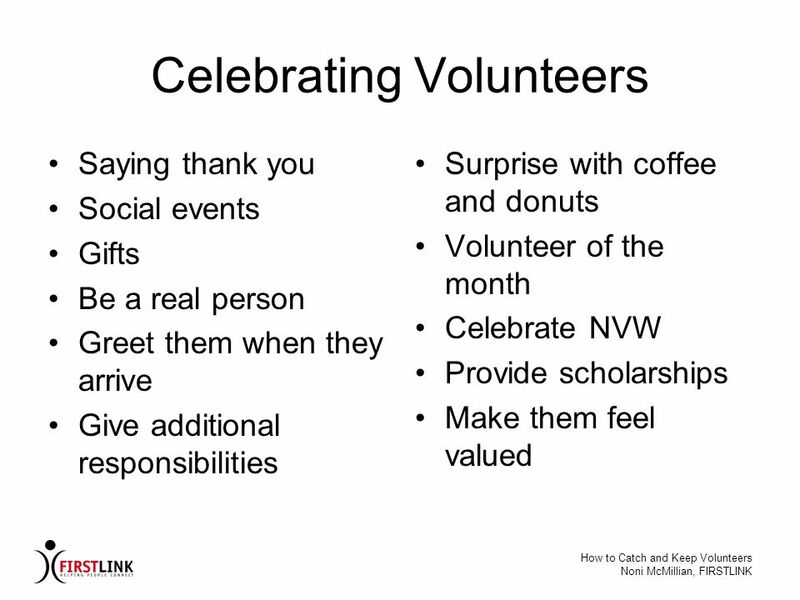 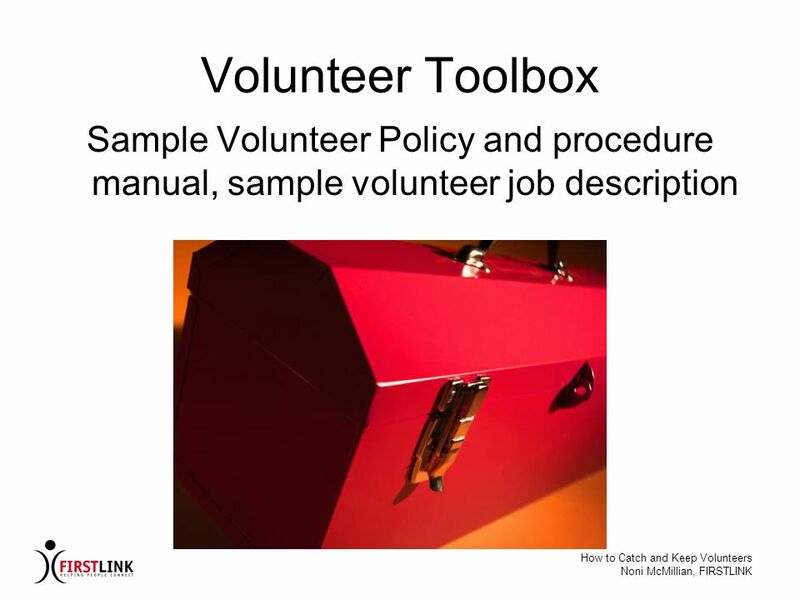 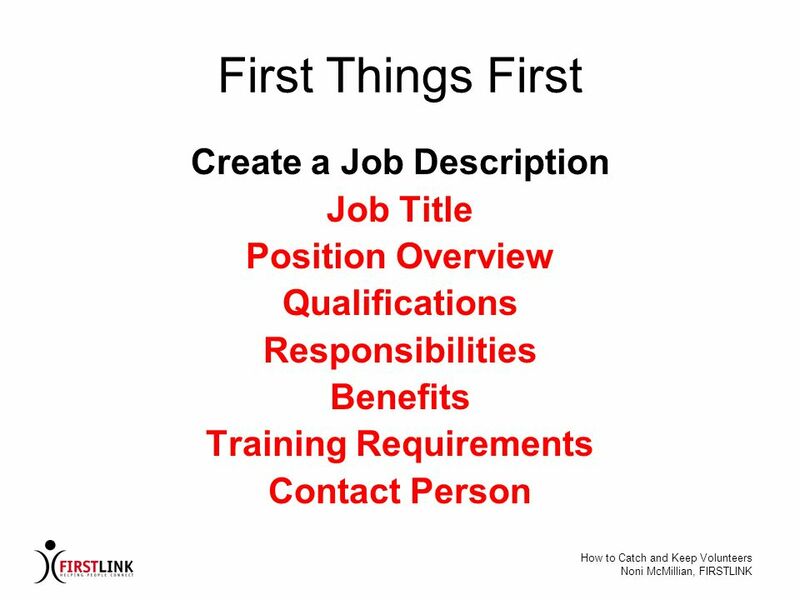 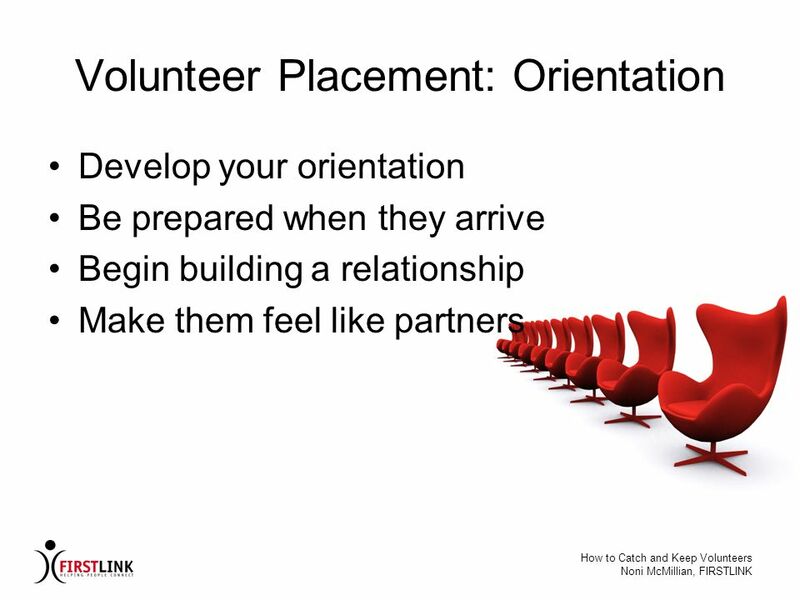 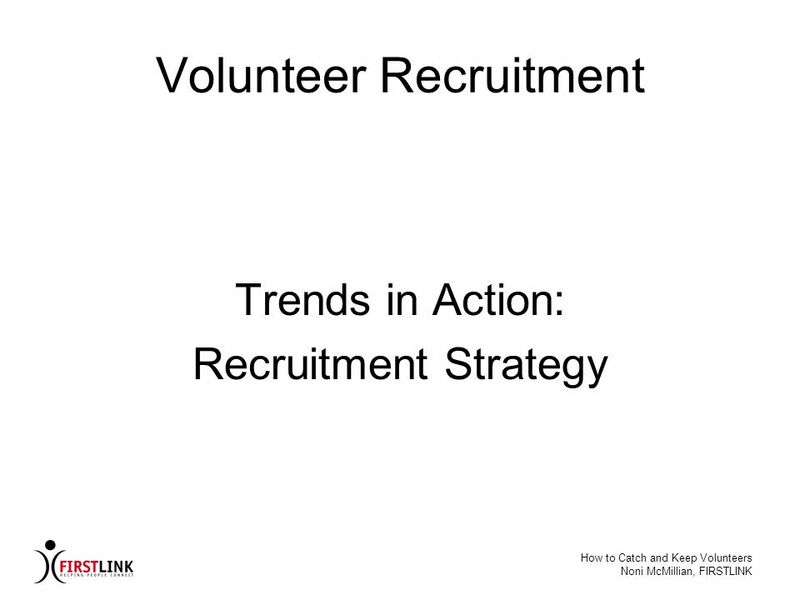 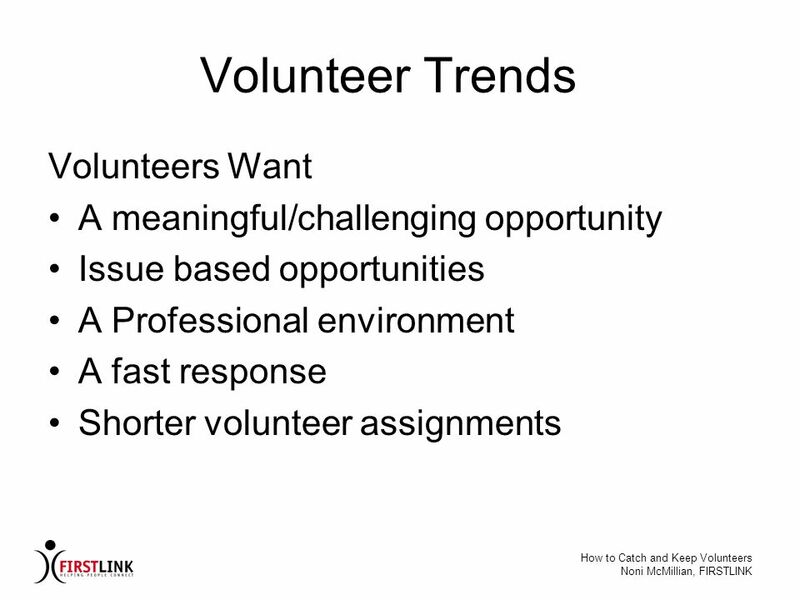 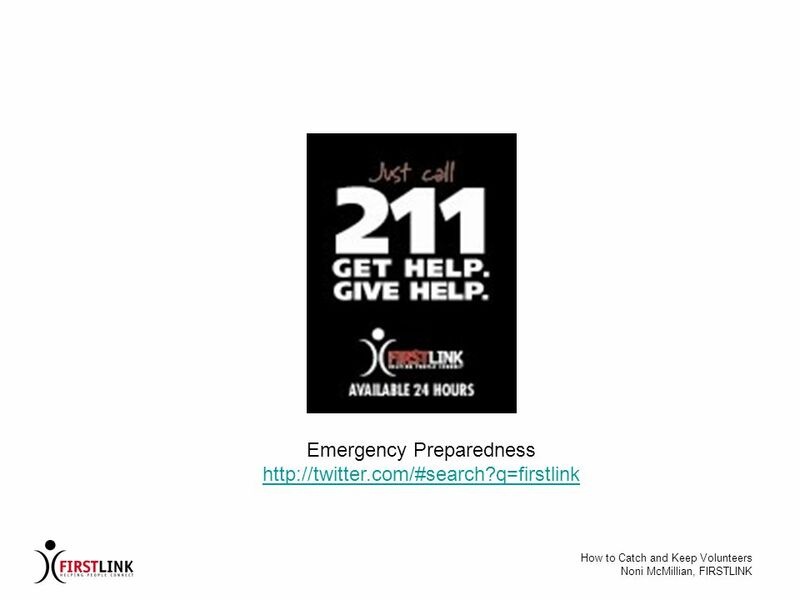 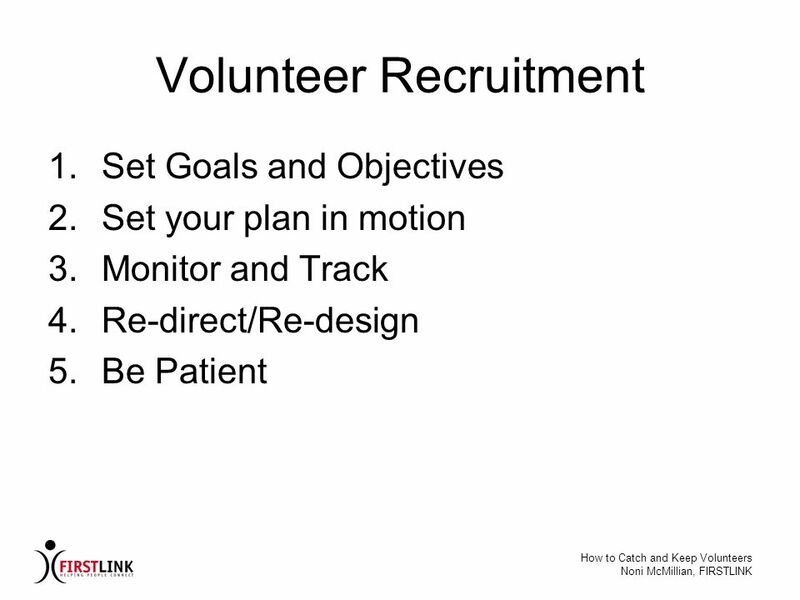 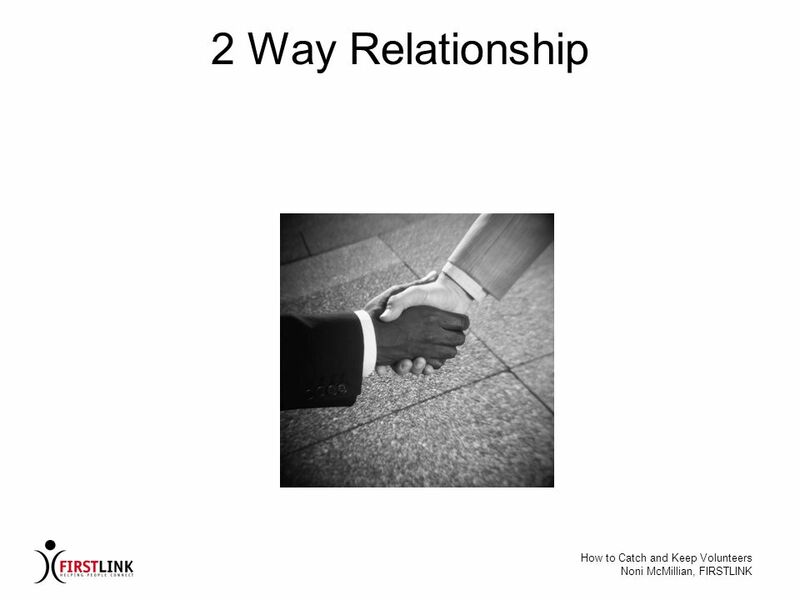 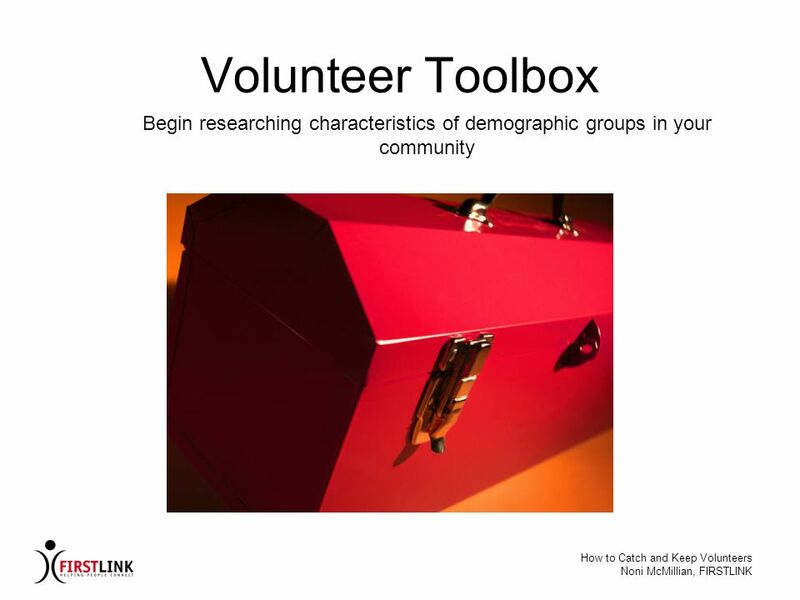 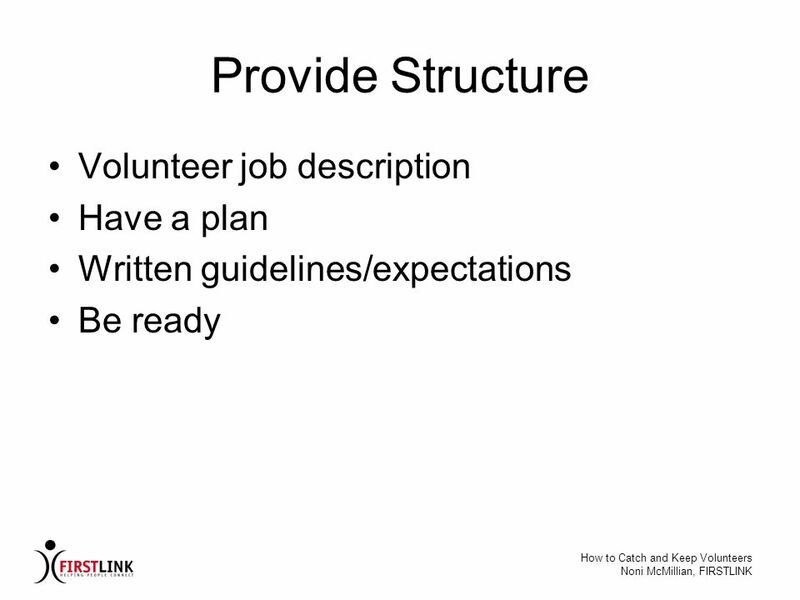 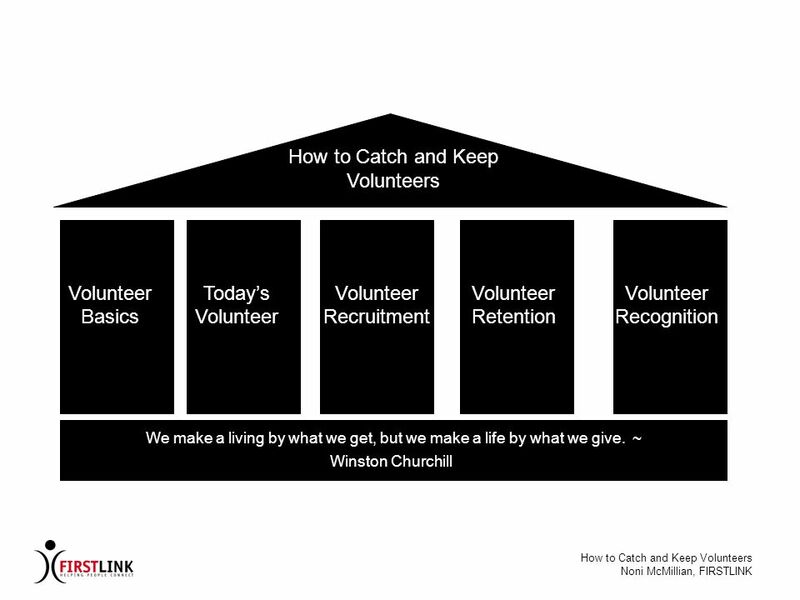 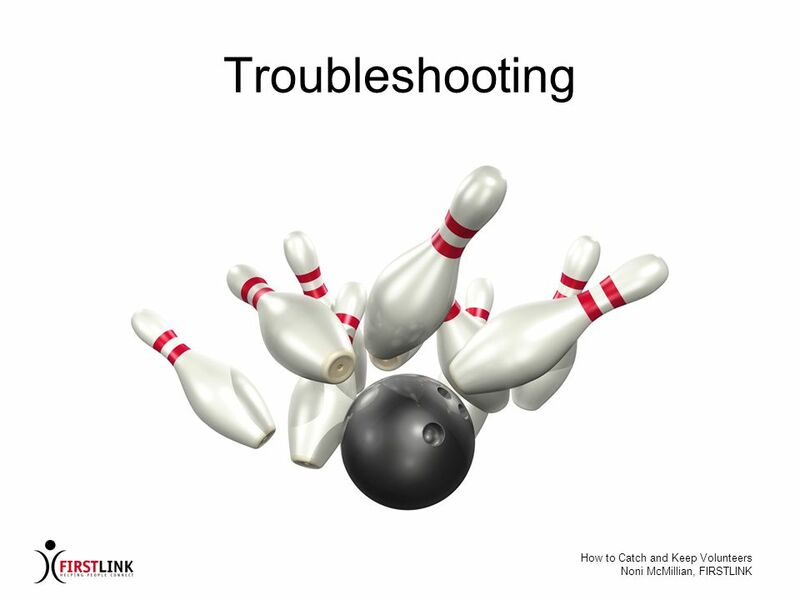 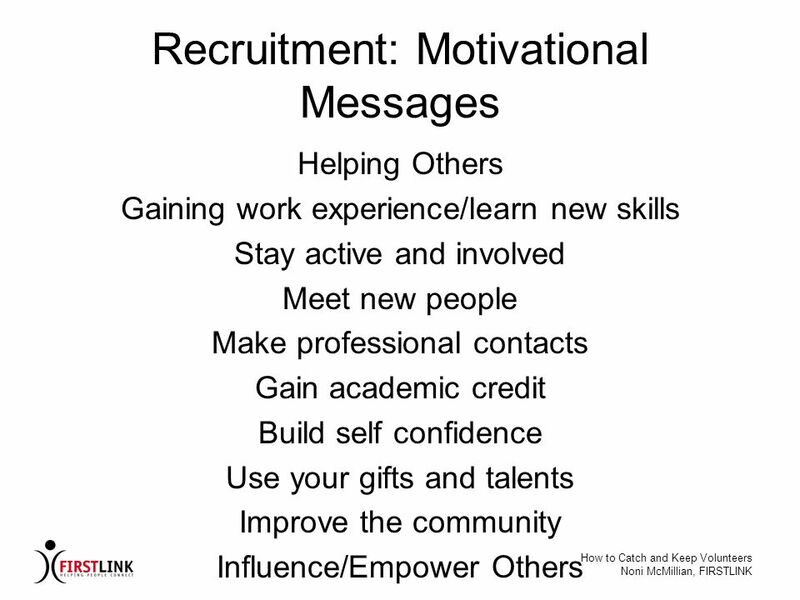 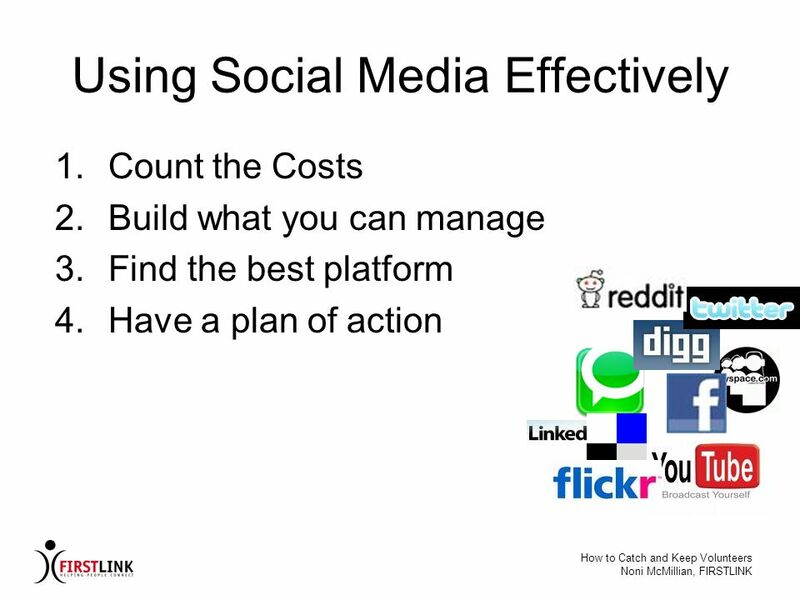 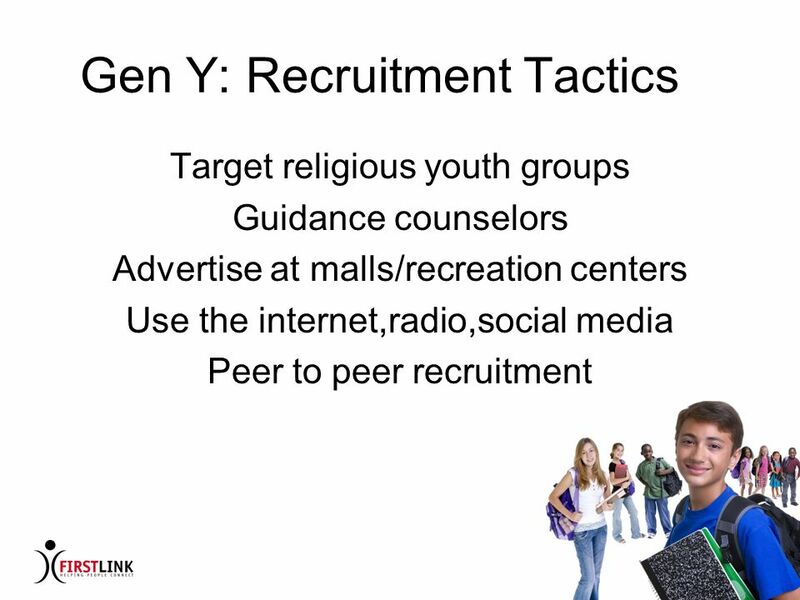 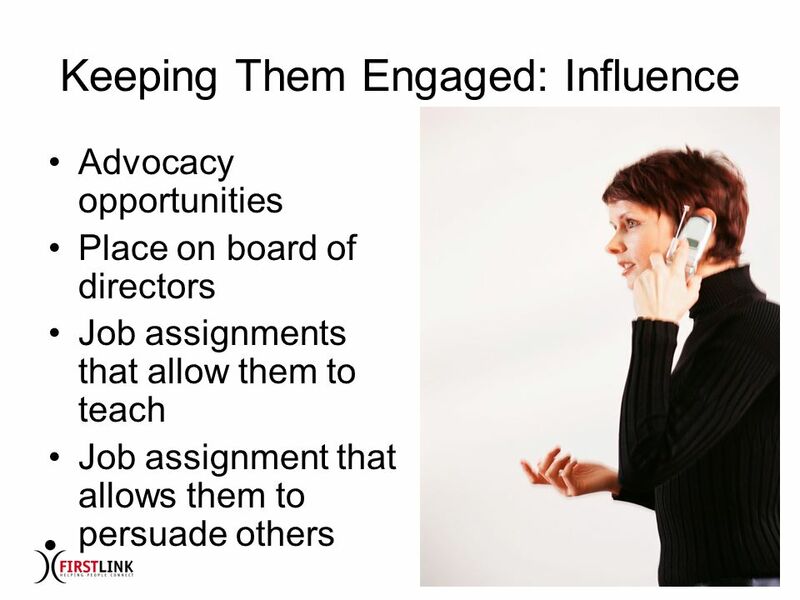 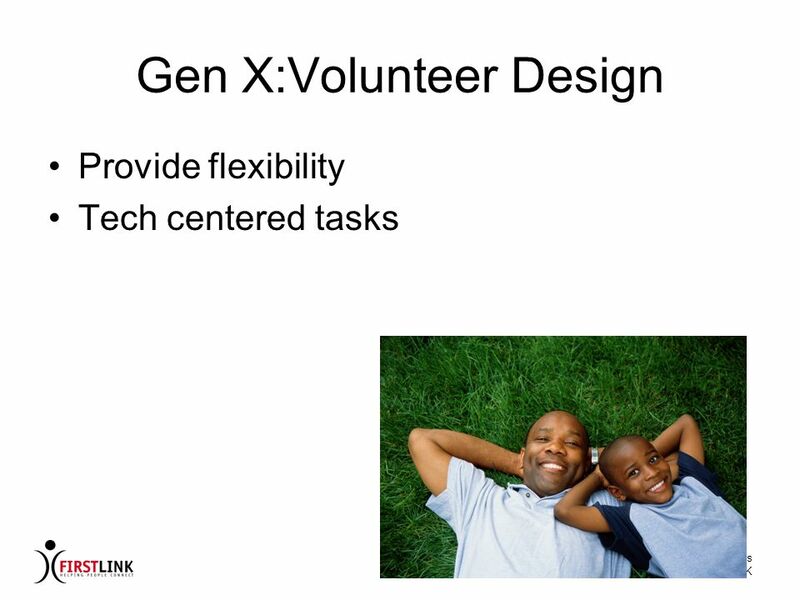 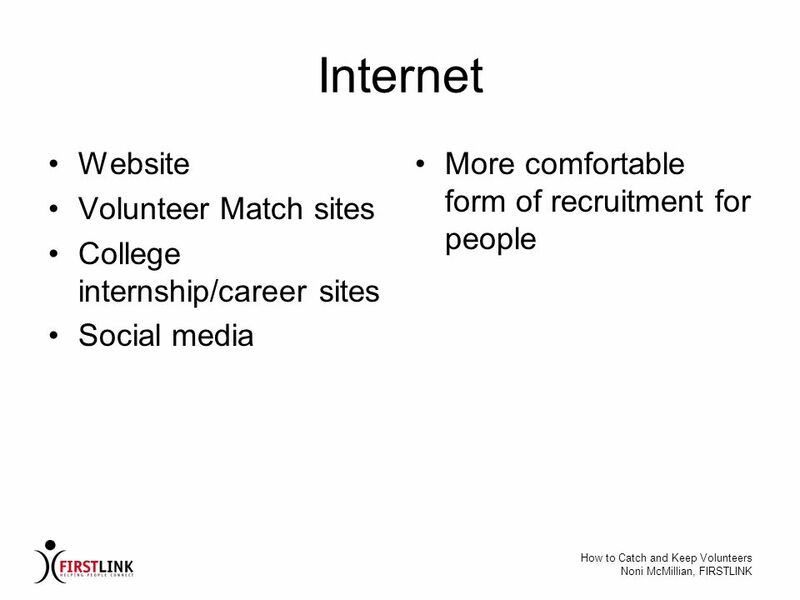 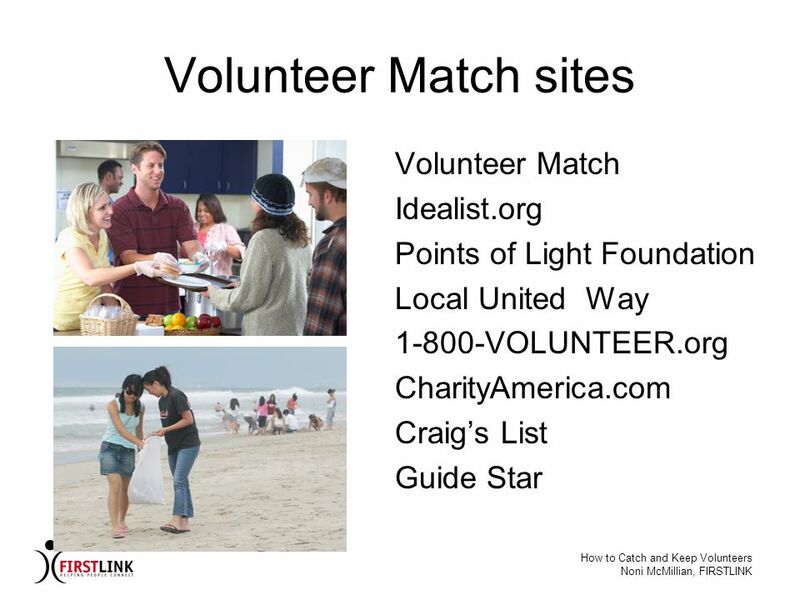 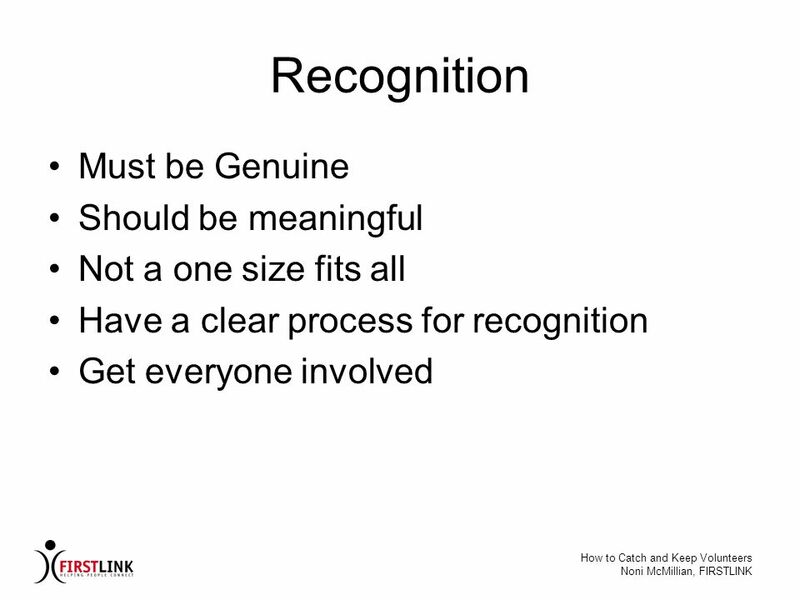 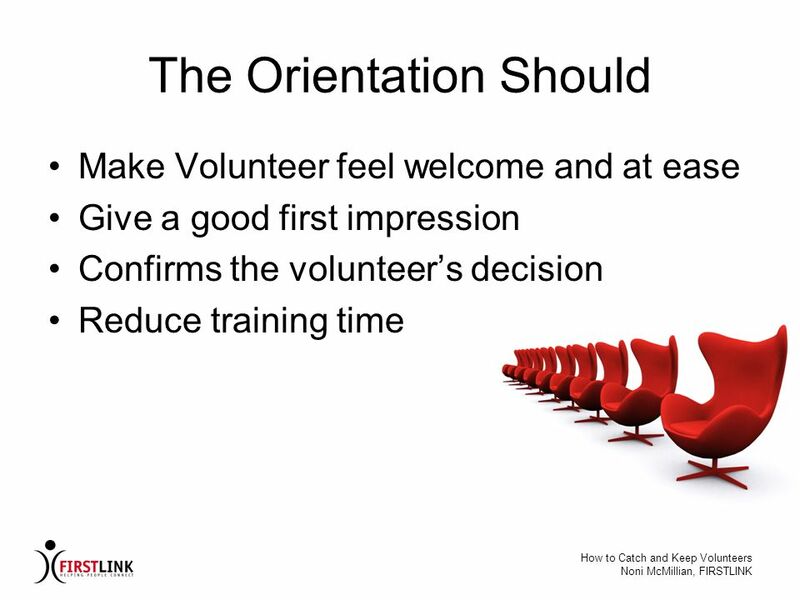 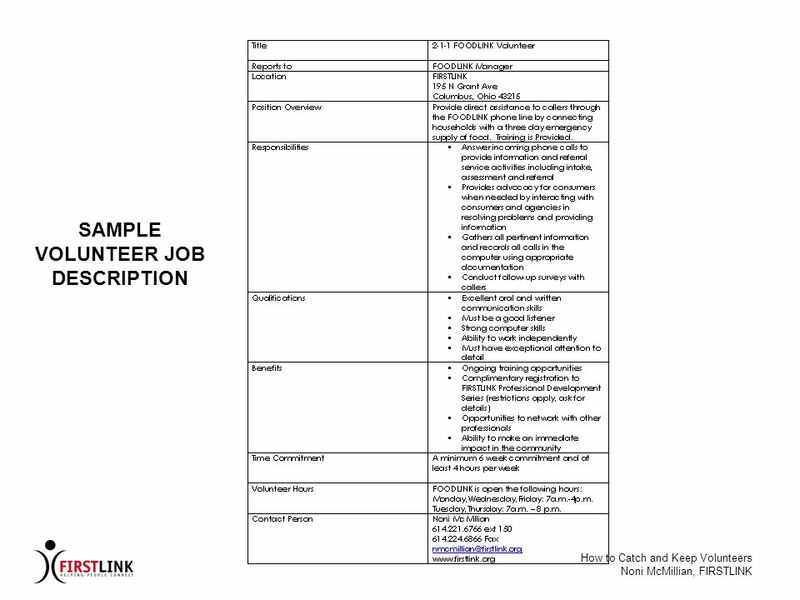 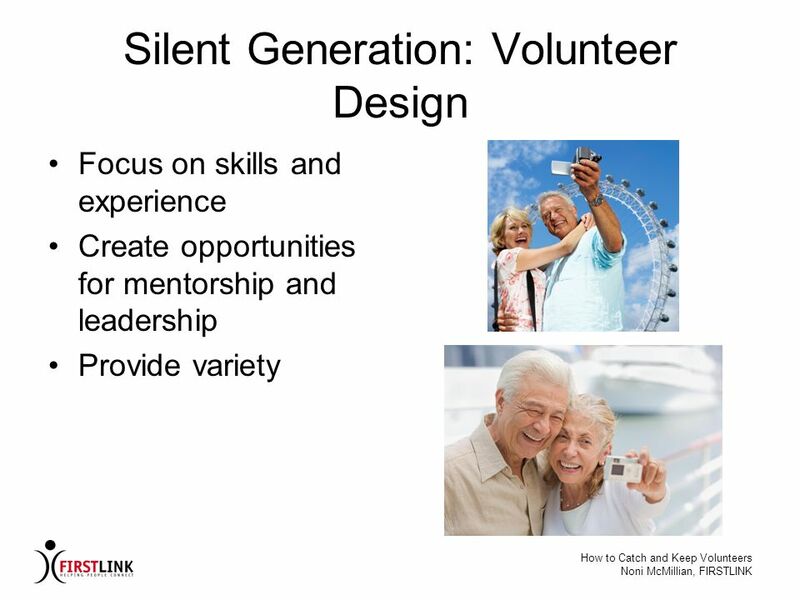 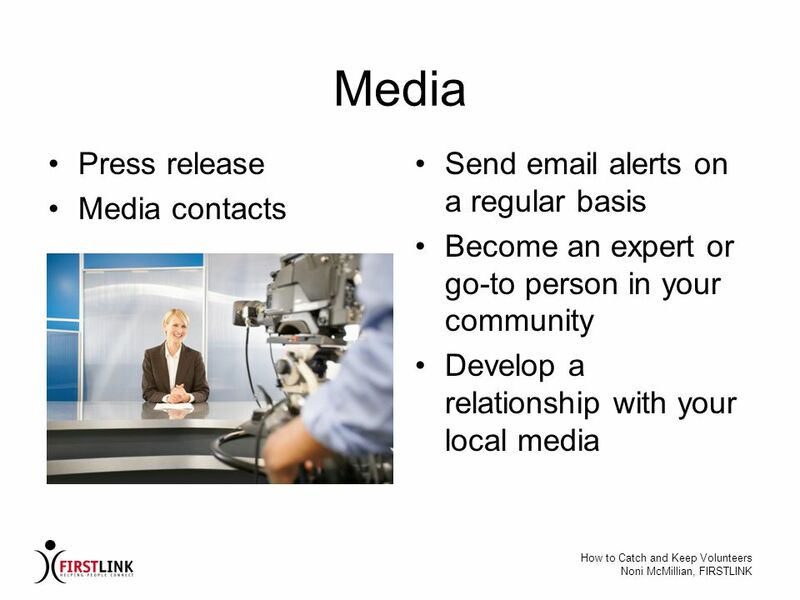 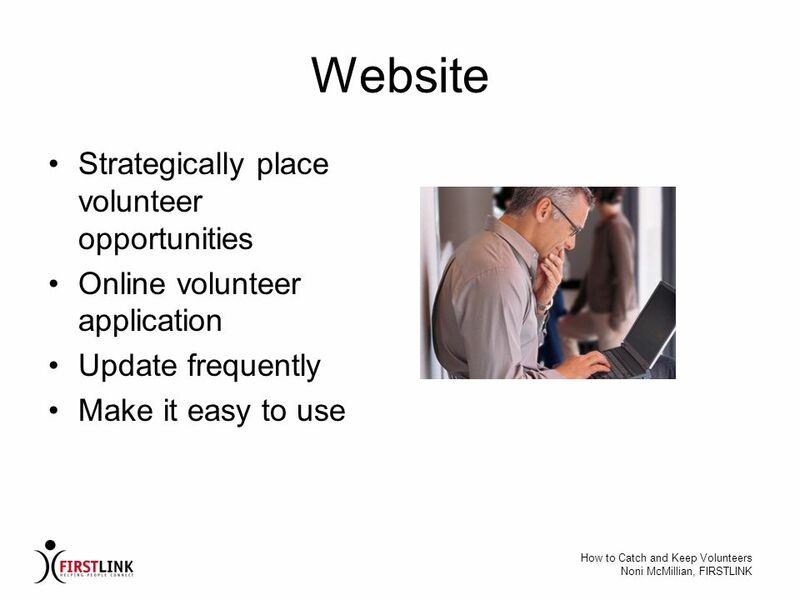 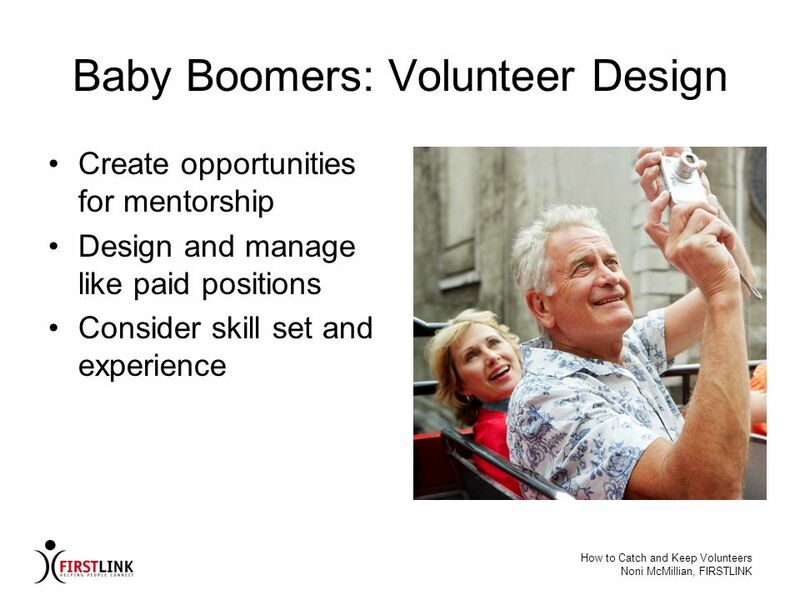 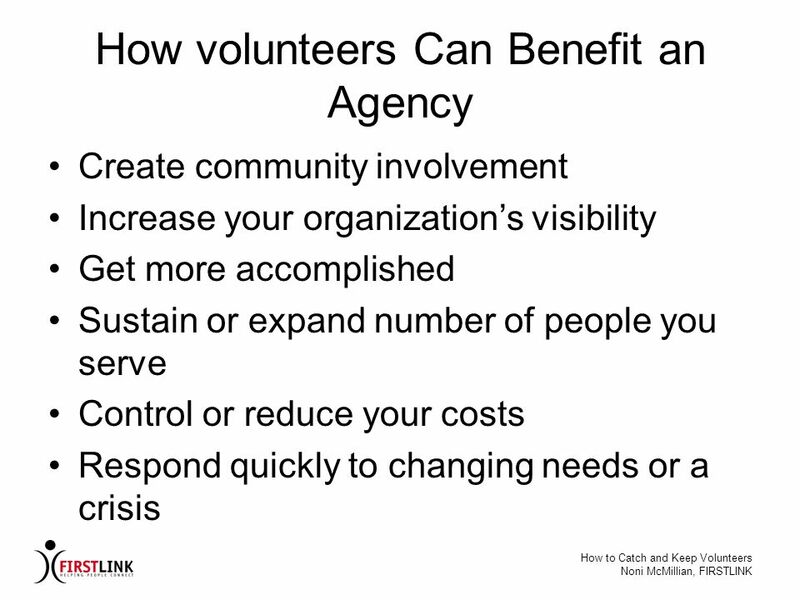 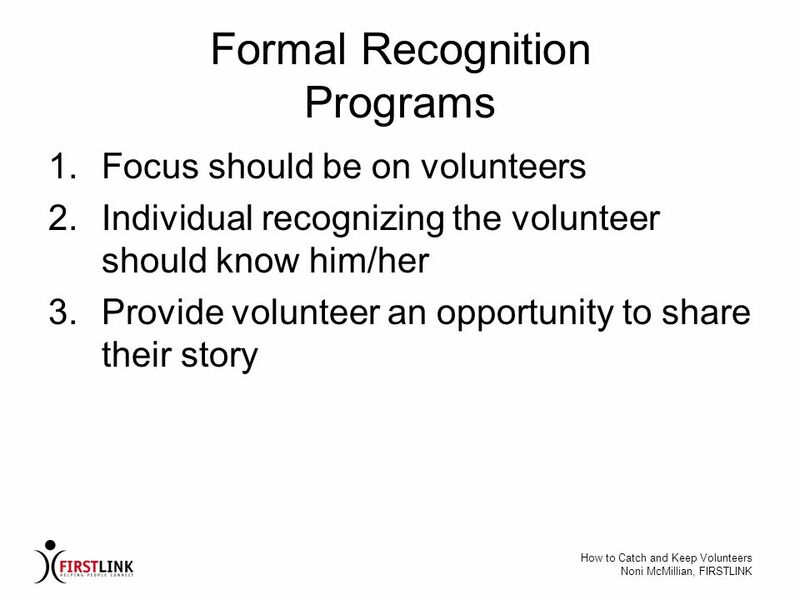 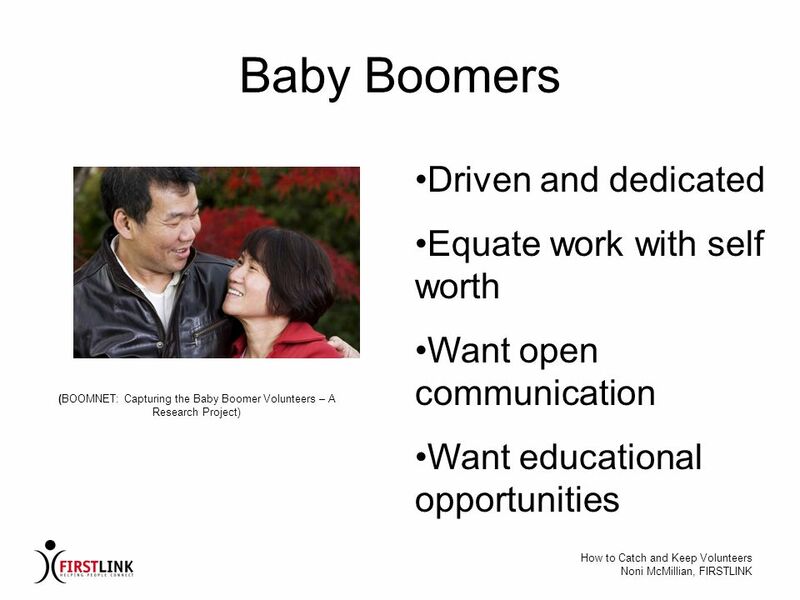 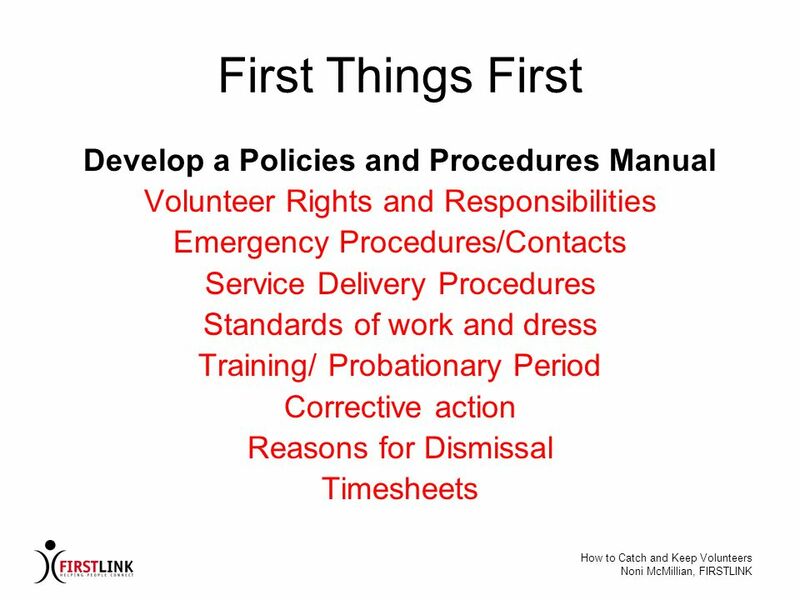 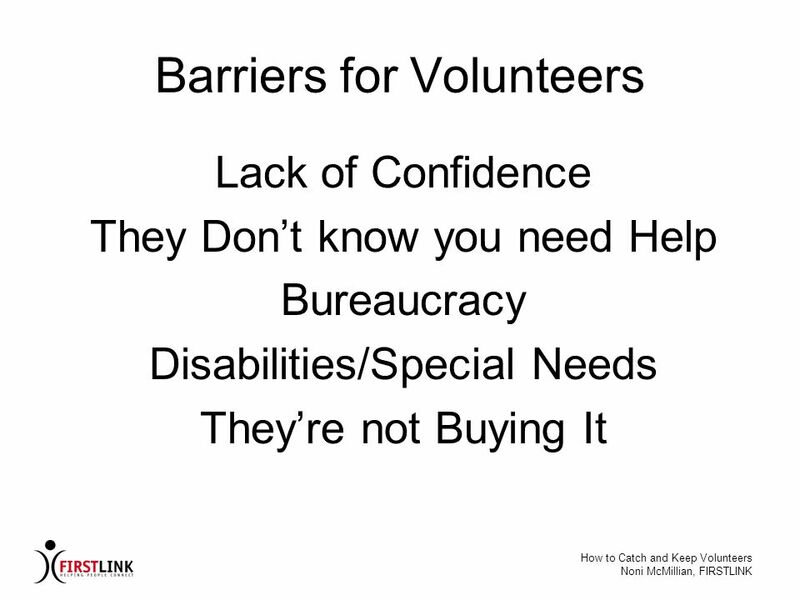 Download ppt "How to Catch and Keep Volunteers"
Volunteer Management and Supervision Volunteer Management and Supervision The Volunteer Centers of Santa Cruz County. 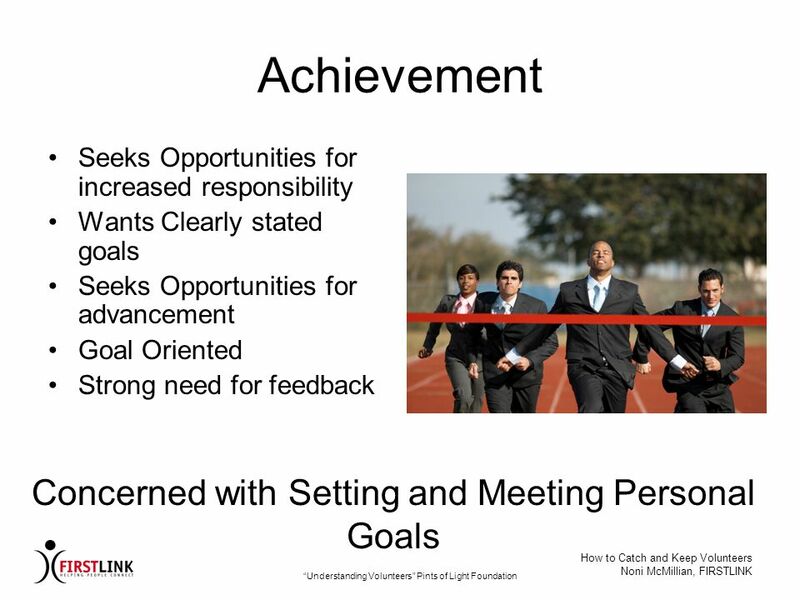 ORCHARD ACADEMY Best Practices in Person-Centered Transition Planning and Programming that Deliver Positive Outcomes Presented by… Tim Bobrowski, Director. 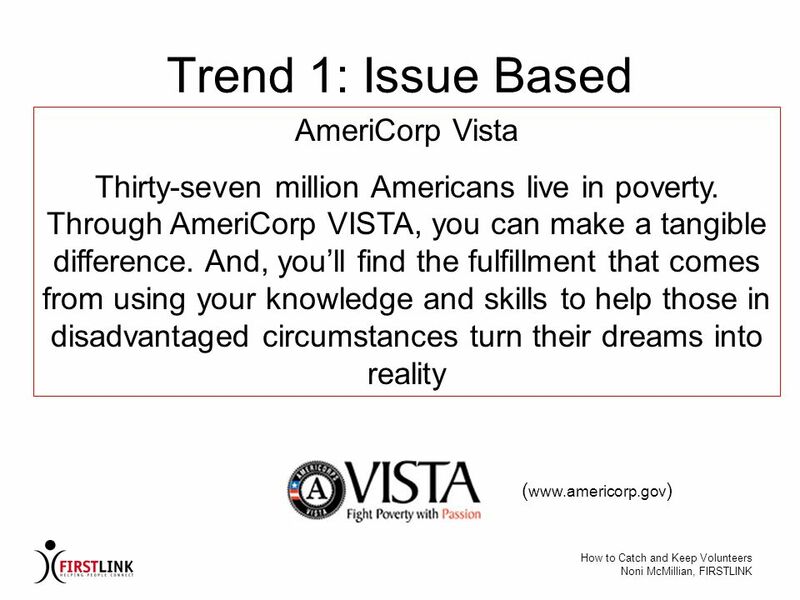 Key Concepts Collaboration with business, education, rehabilitation (VR) and DD Collaboration with business, education, rehabilitation (VR) and DD Braided. 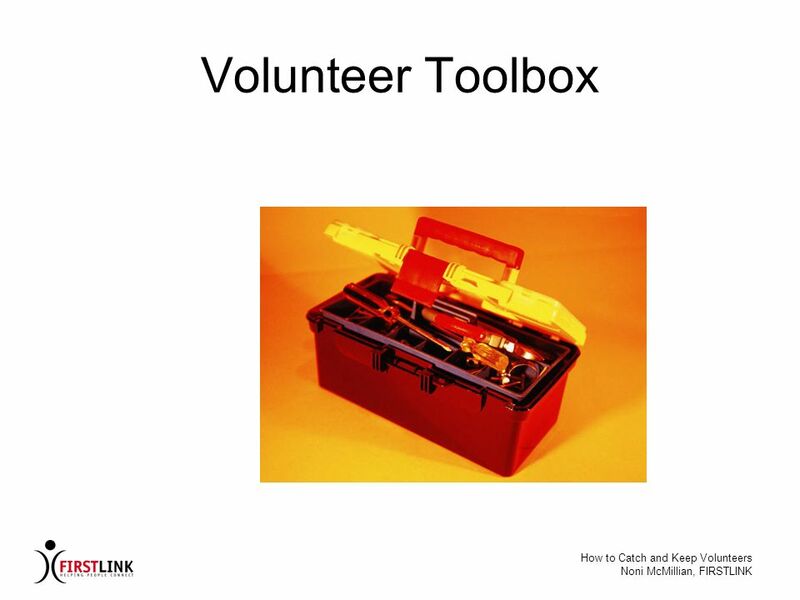 Toolkit. 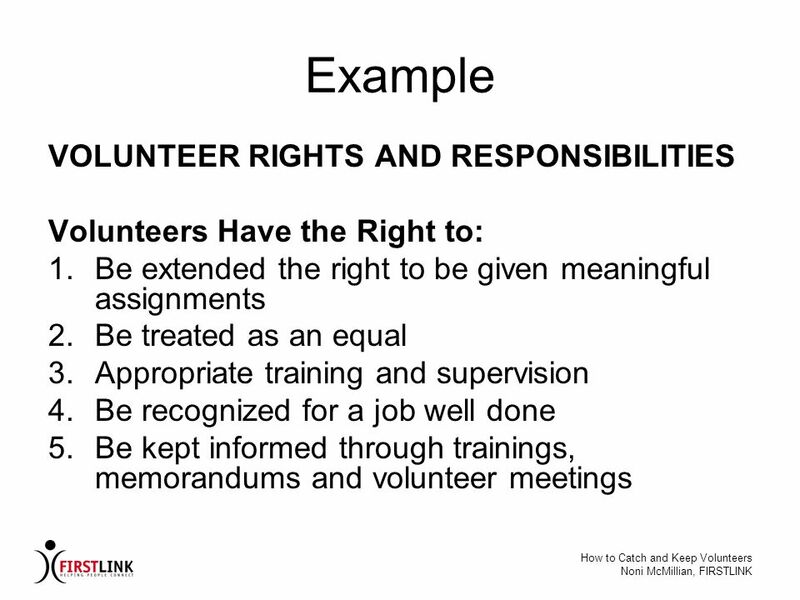 Definition of corporate volunteering Any effort by an employer to encourage and assist employees to volunteer in the community. 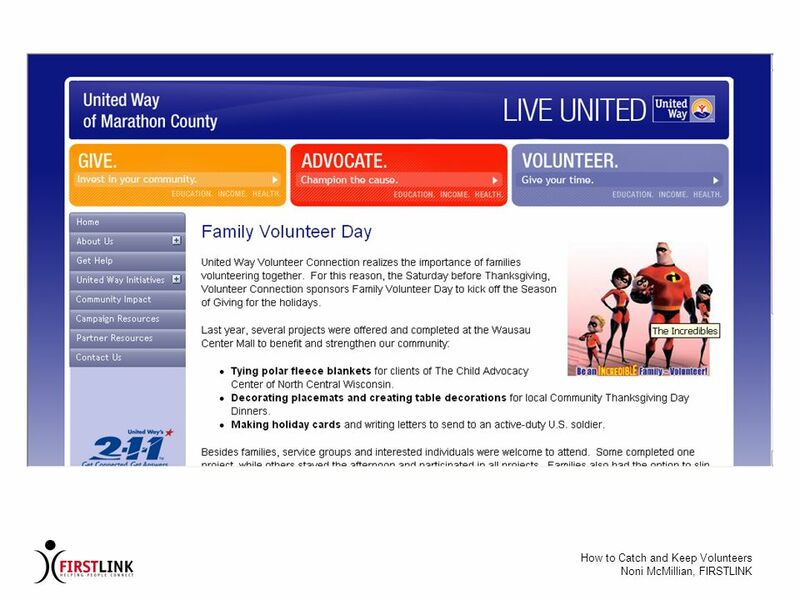 Why your Club should sponsor a Z-Club District 4 Spring Workshops Lori Robinson ICC Z Club & Golden Z Club. 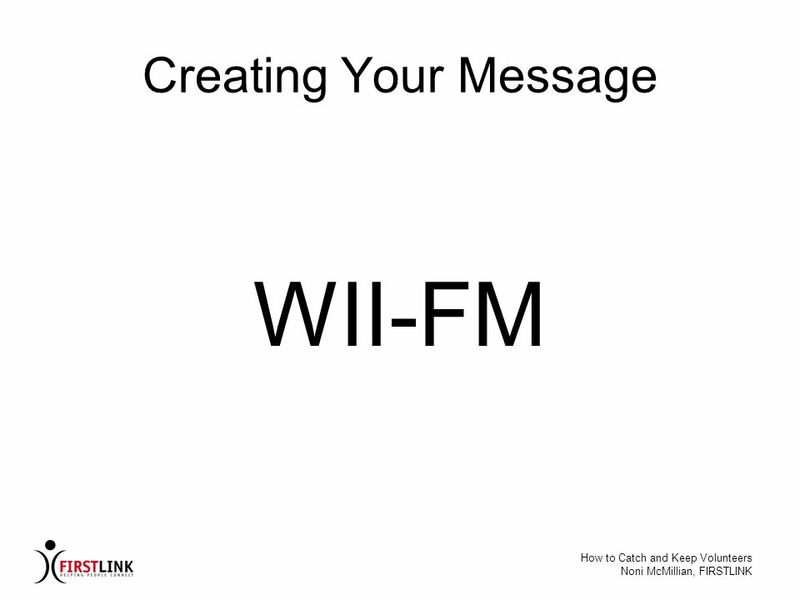 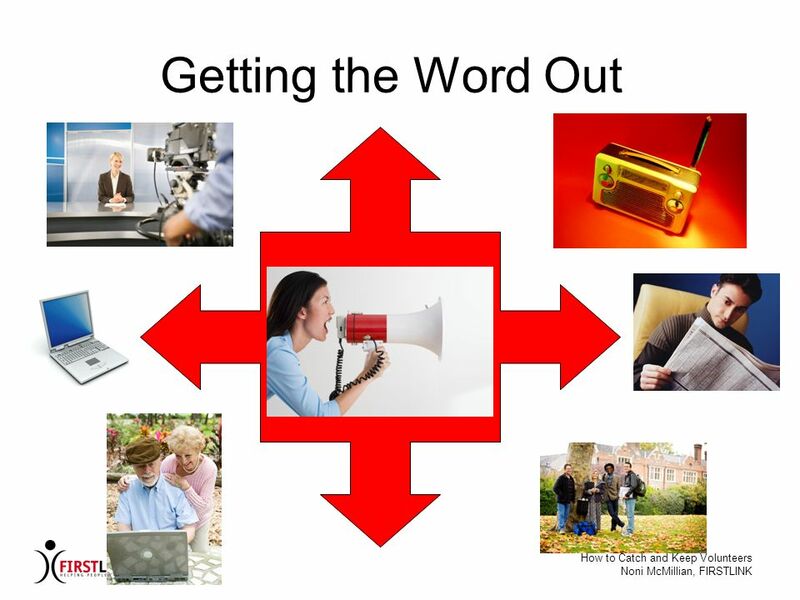 Options for communicating. 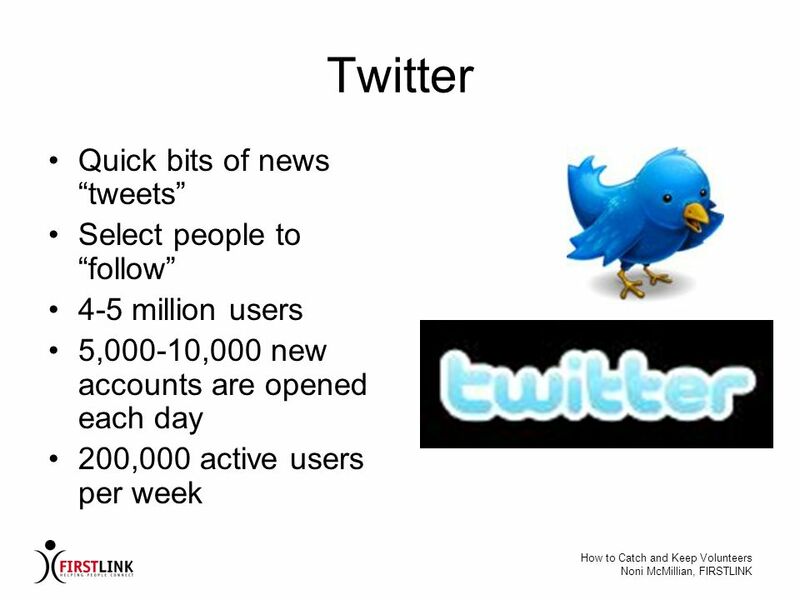 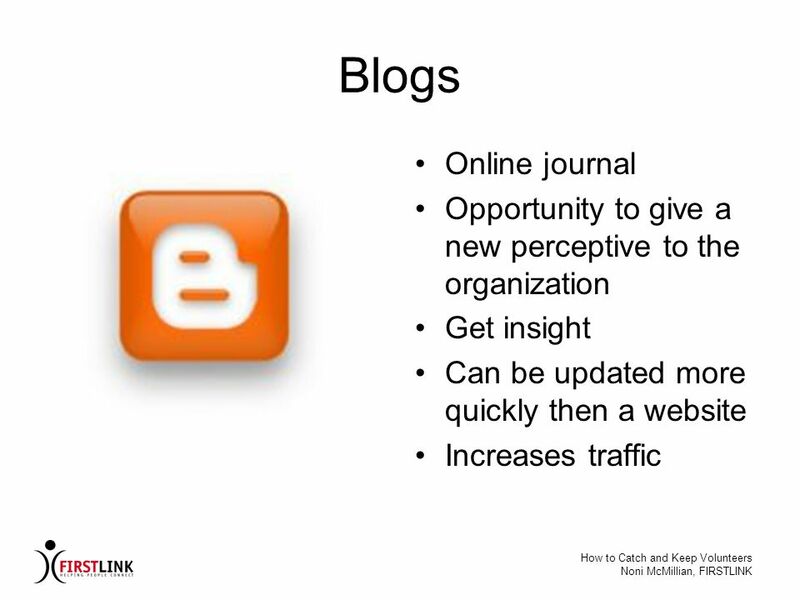 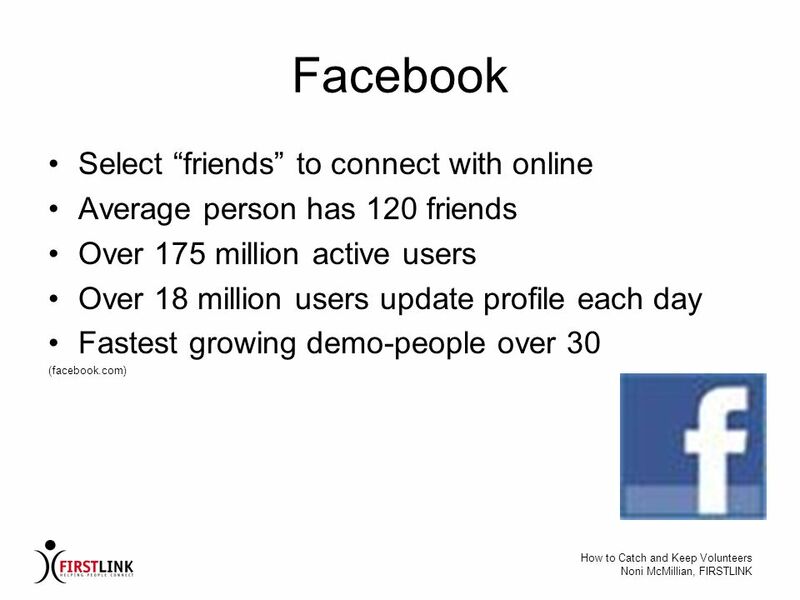 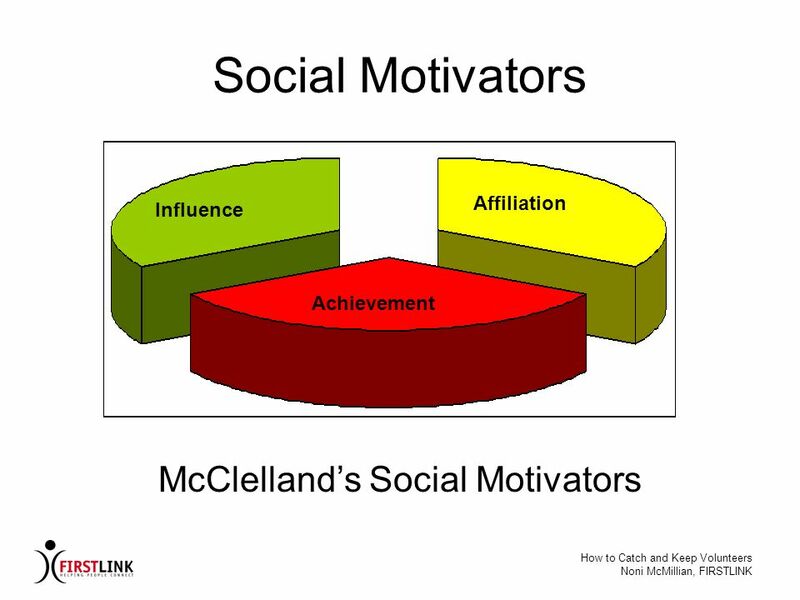 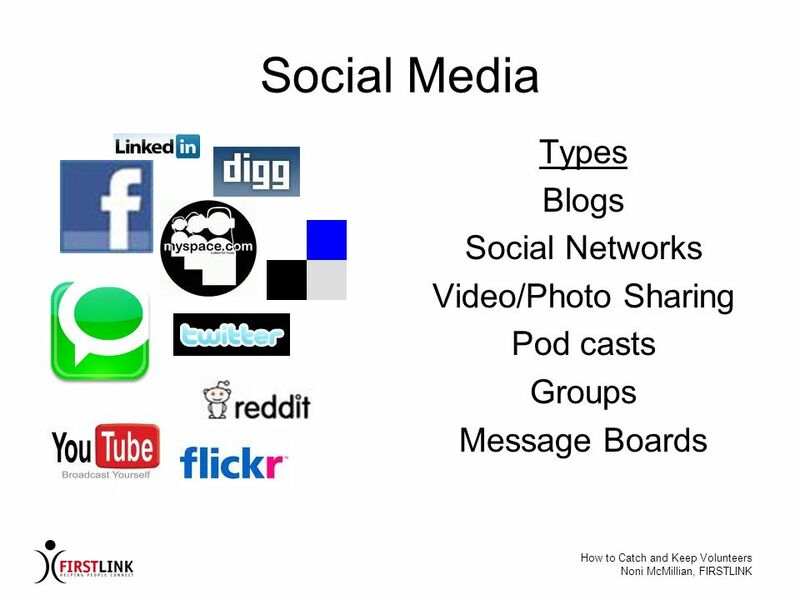 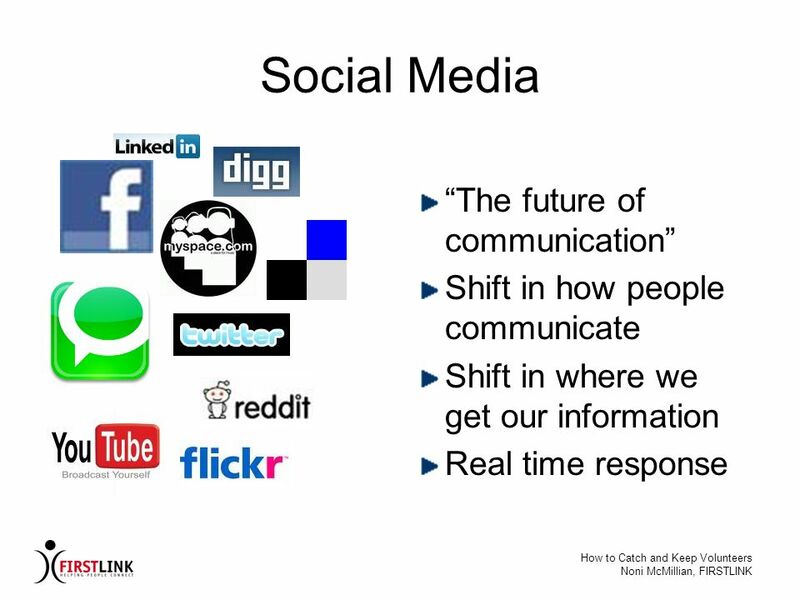 A social network is a social structure made of individuals (or organizations) called "nodes," which are tied (connected) by. 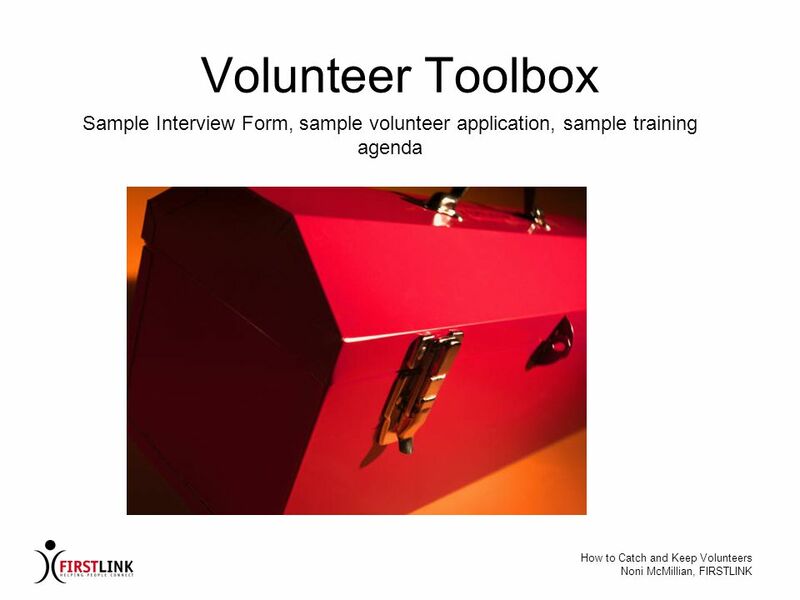 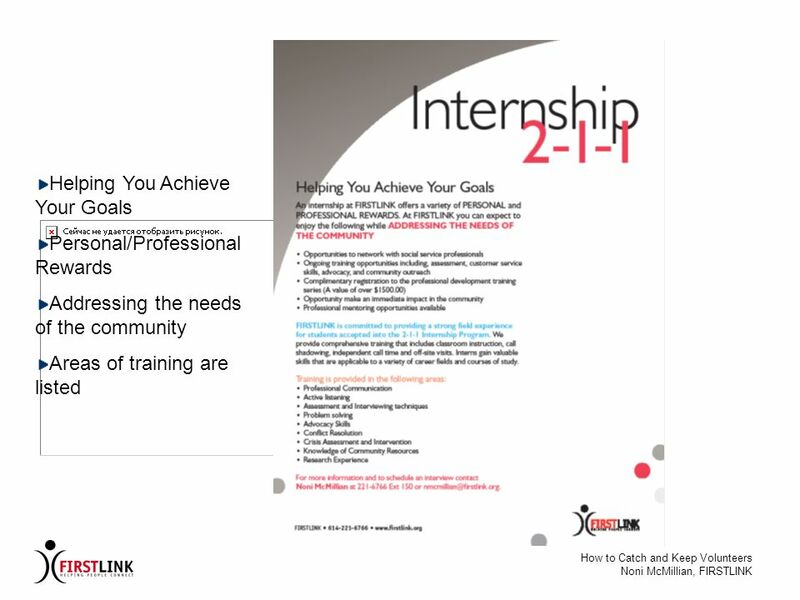 Veterans Employment Toolkit Veterans in the Workplace Training Series This material was generated by Corporate Gray and The Burton Blatt Institute at Syracuse. 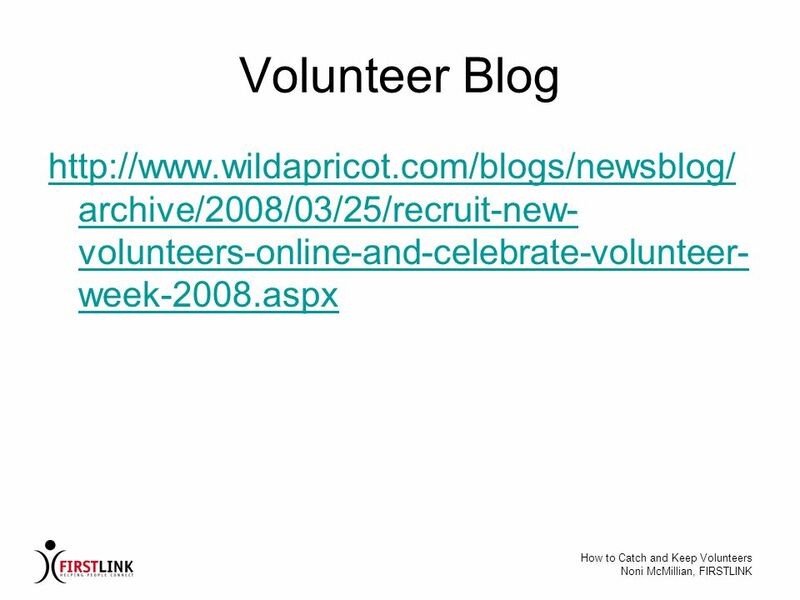 APEGA Branch Orientation Support for APEGA Volunteer Functions Presented by Sue Armitage Volunteer Management Coordinator June 1, 2013. 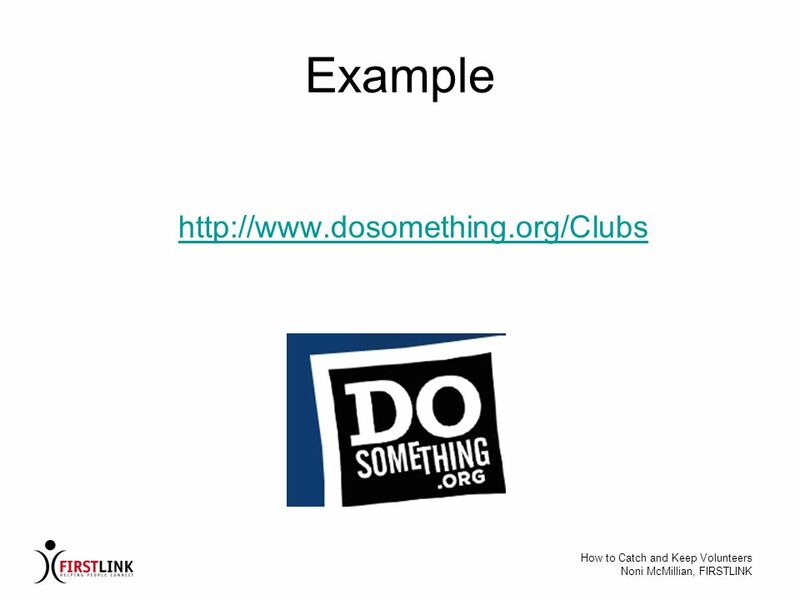 Why your Club should sponsor a Z-Club Area 1 Meeting April 20, 2013. 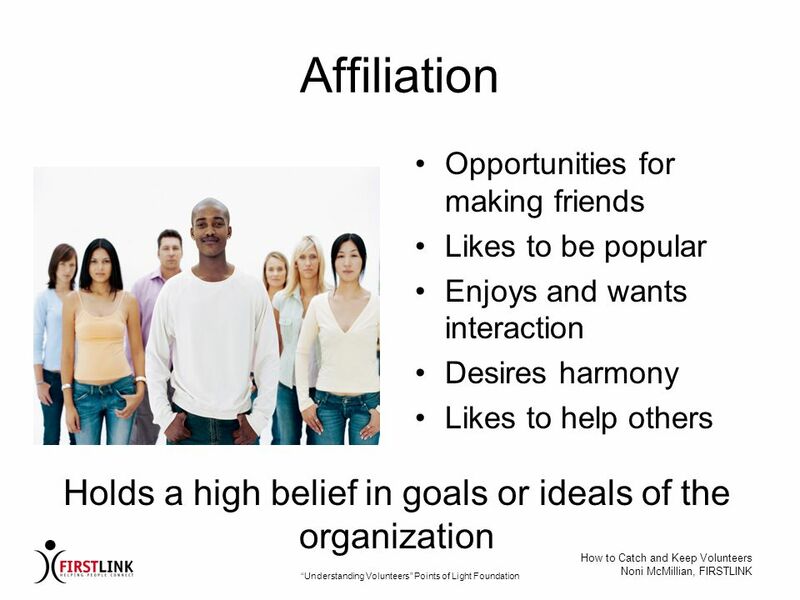 Why Do People Join Groups? 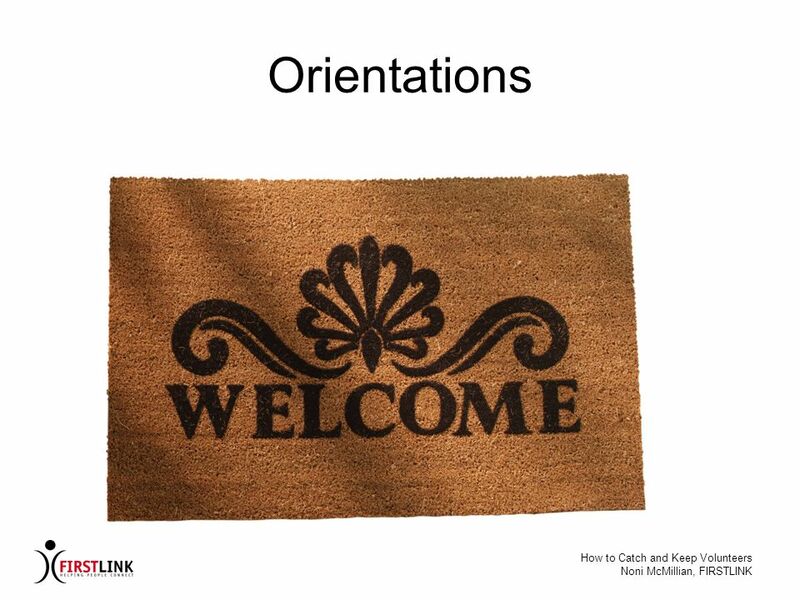 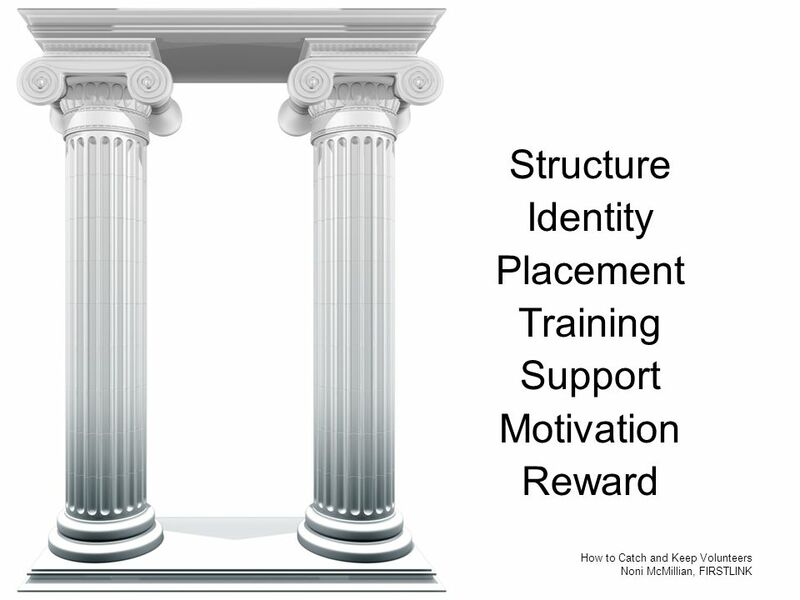 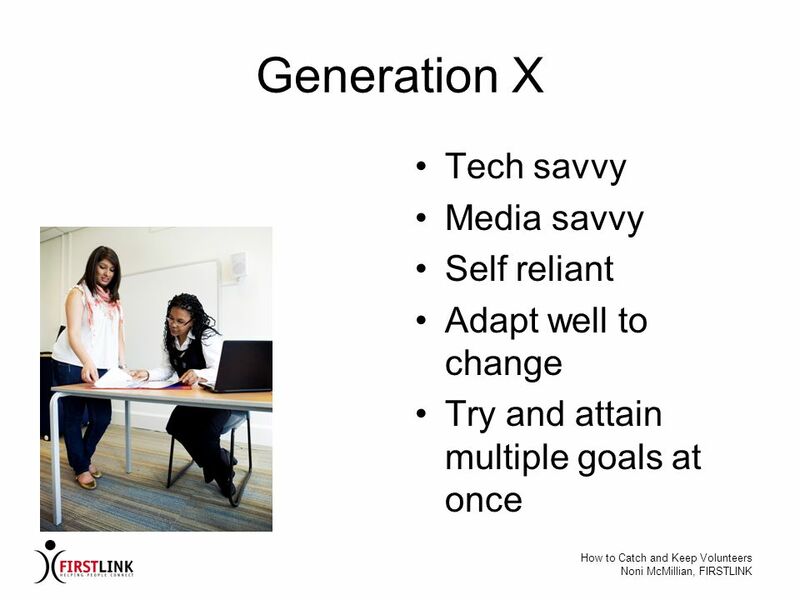 10 Tips for Supervising Today’s College Students! 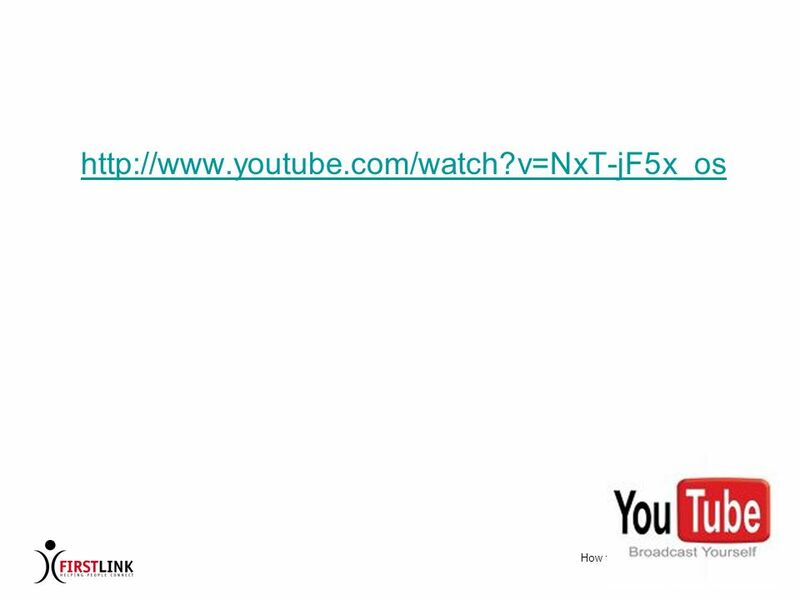 IdeaPOP! 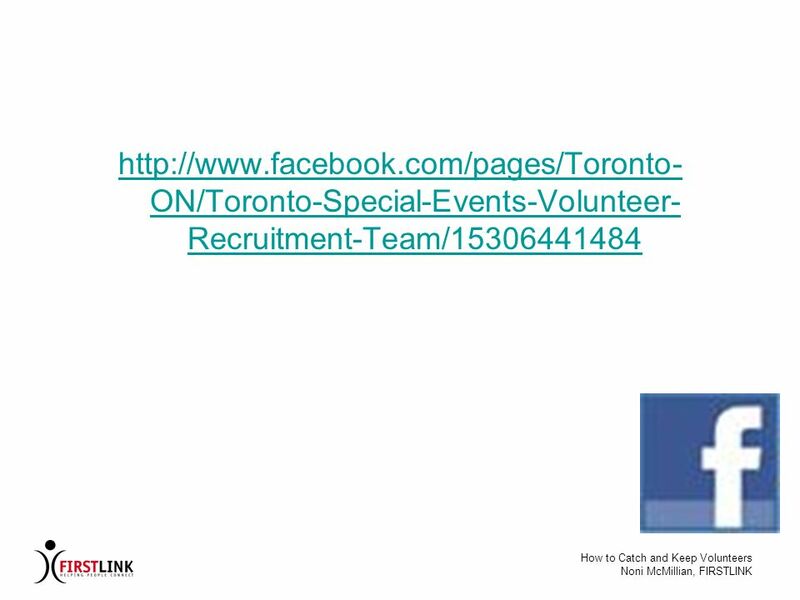 Annual Conference May 13, 2011 Erica Choutka Fitness Coordinator Campus Recreation Scotty Kednocker. "Hello it's me, your new member, and I'm leaving!" Why Is Member Retention a Challenge? 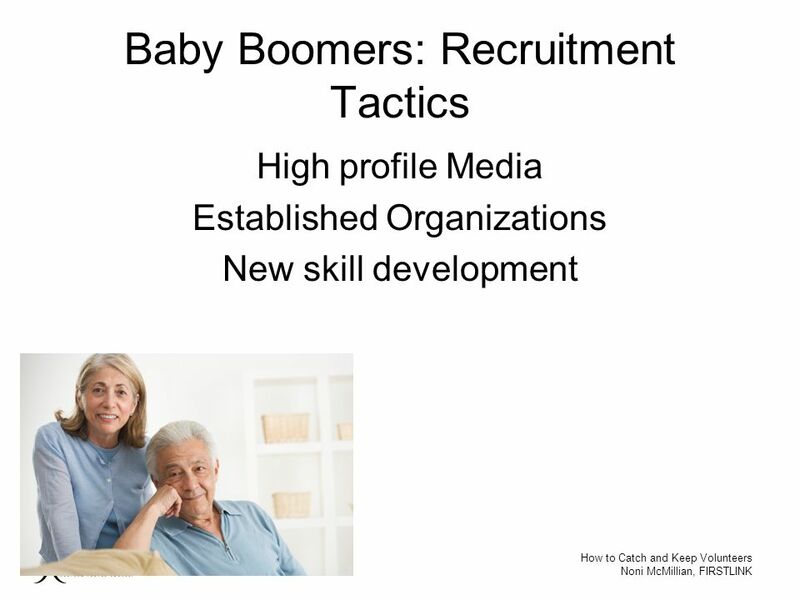 Denise Williams, Director Member Programs & Branch/Region Development. 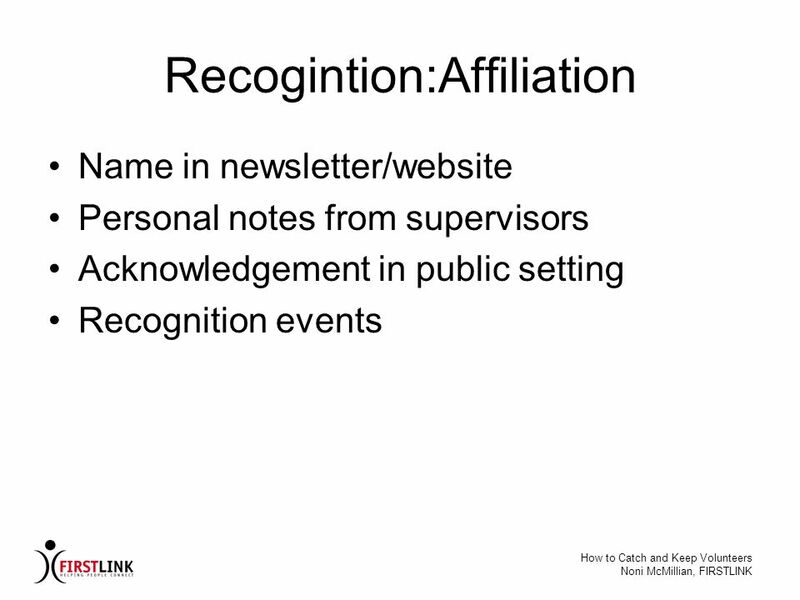 PETS 2014 Membership. 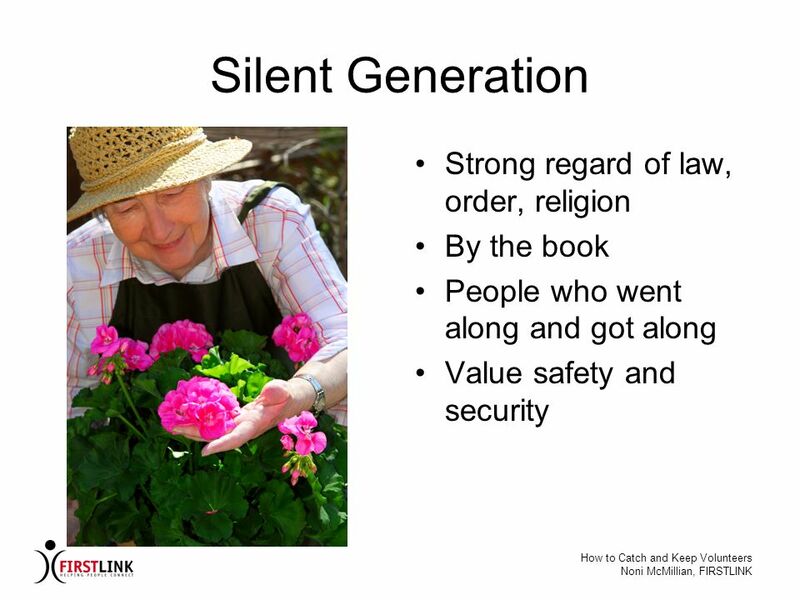 WHY IS THERE CONCERN? 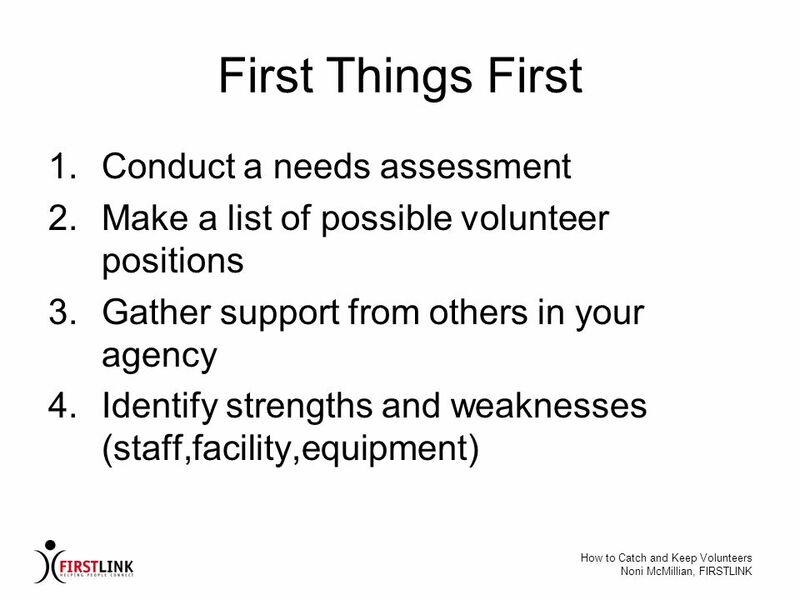 Zone Chairperson How to be everything to everyone. 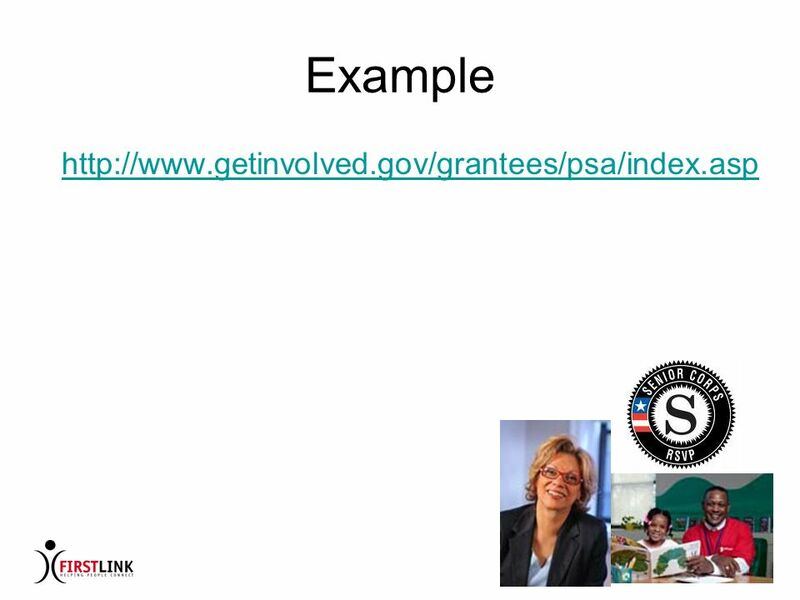 What is Localgiving.com? 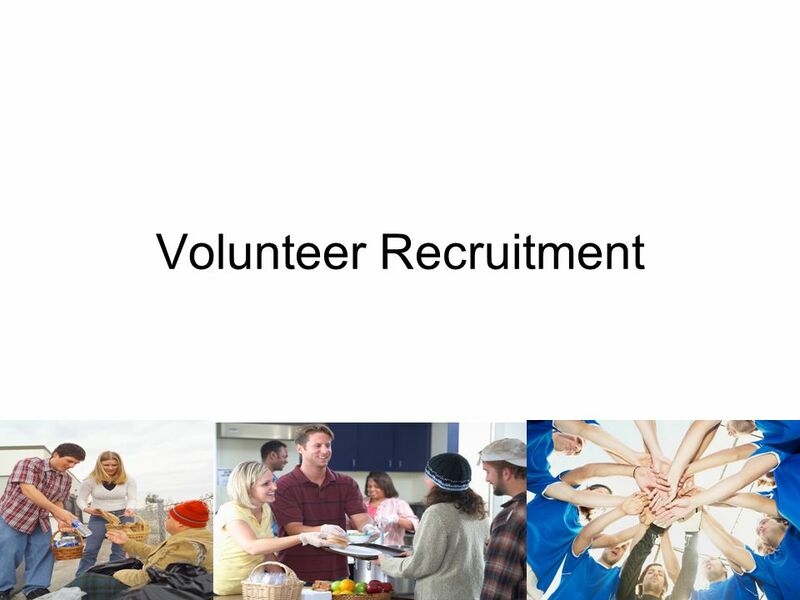 Offered throughout the Community Foundation Network as a fundraising tool for voluntary and community groups Mission: To provide.